It's been one helluva year here in Nashville. First, we welcomed our newest addition, Maggie Jean, in July. And then, this past week, came the arrival of my first cookbook, The New England Kitchen, which I was lucky enough to co-author with my good friend, chef Jeremy Sewall of Lineage, Island Creek Oyster Bar, and Row 34. So just how did we make it all work? For me, it took plenty of super early mornings, during which I would work on edits for the book. There were also a lot of weekends spent cooking, editing, writing and eating. (Oh yes, there was plenty of eating ... especially considering my growing belly.) The book was truly a labor of love but one I would happily do over again. Jeremy's recipes make me want to get into the kitchen and cook. They make me hungry just reading them. Not every recipe elicits that reaction but for me, his style of cooking just fits. I would love nothing more than to spend a day making pork belly confit and layering it over a sweet potato puree then sprinkling crispy sauteed mushrooms over top. Especially after ogling the photos taken by photographer Michael Harlan Turkell who did remarkable work on this book. Speaking of Michael, I just have to call out the awesome team of people who made this book real. It starts with Jeremy, of course—his comedic timing alone made me love every minute of this project—and working with him means working with his tireless, level-headed assistant Carol Turner, who, among other things, single handedly wrestled most of the recipes from chef's head onto the page. Michael was a total joy, and even though I wasn't there for every shoot, I know that they became progressively more polished, efficient, and most of all, fun. I loved working with our rock star designer Amy Sly who literally has the fastest hand on the west coast. And, of course, our editor Sandy Gilbert who put us through a cookbook bootcamp before fully whipping us and the book into shape by the end. Sure, there may have been moments when a few of us wanted to throw knives but they were fleeting. For the most part, we all kept our heads down, kept it positive, and worked our tails off to make this an exceptional book. More than anything, I marvel at how long this process took from beginning to end. 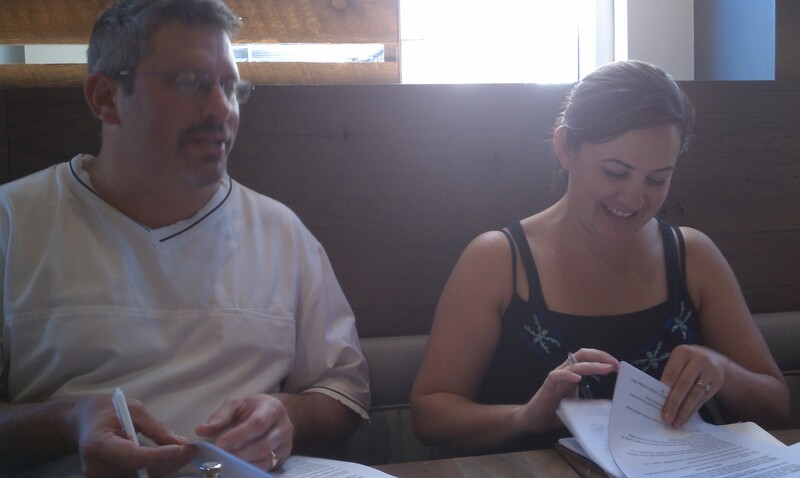 It all started about 4 years ago when Jeremy and I sat down at the newly opened ICOB to talk about doing a cookbook together. 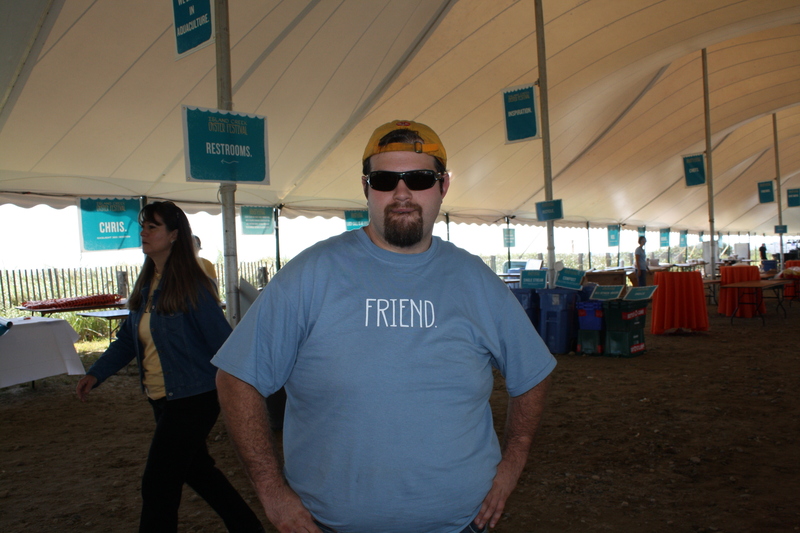 Before we even started the conversation, Jeremy told me he had a confession to make. "Lisa's pregnant," he said, grinning about the arrival of his third child. I grinned right back: "I'm pregnant, too." (Insert Jeremy's one liner here: "I was only responsible for one of those babies.") And so, we had our meeting and came up with some great ideas. 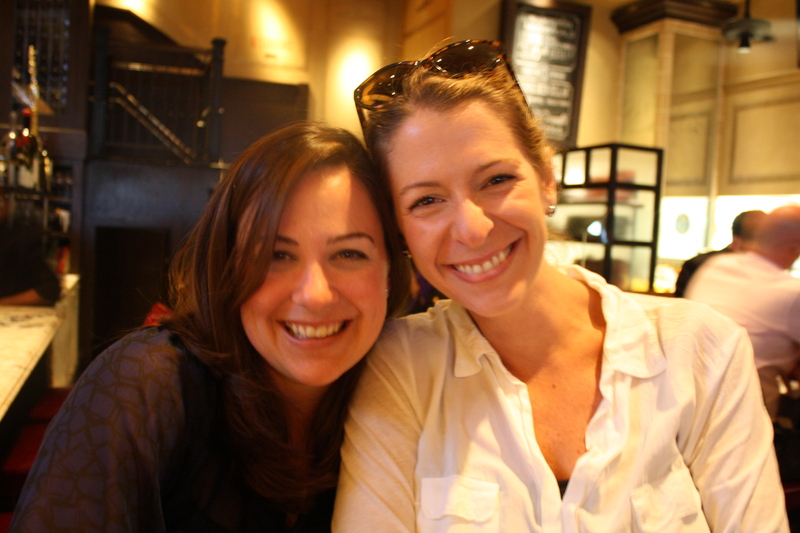 Later, on the phone with our agent, Danielle Chiotti, we learned that she, too, was pregnant. So... there we were, three pregnant ladies surrounding one very busy chef who, in spite of it all, put his head down and created the proposal that would eventually turn into the foundation for The New England Kitchen. 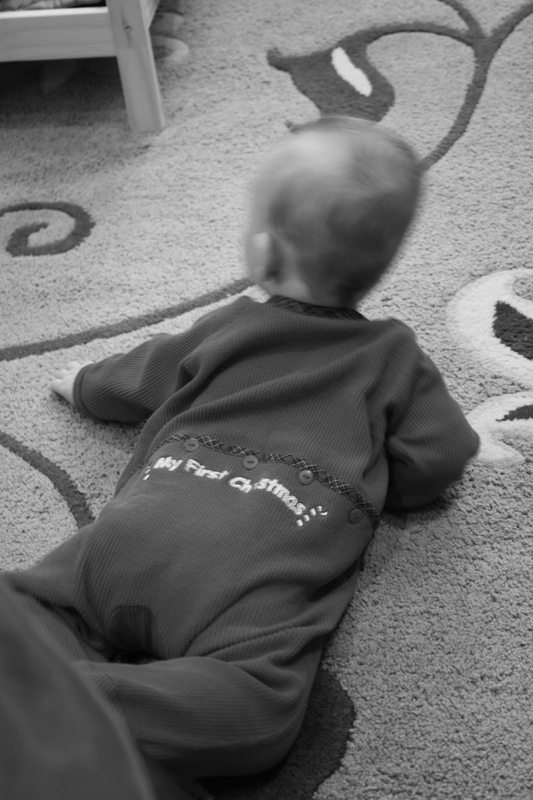 Fast forward about 18 months. We were on our second version of the proposal, this one more focused than the first and I was down in New York accepting an award from the New England Society for my first book, Shucked. After the ceremony, I was introduced to Sandy Gilbert, an editor with Rizzoli. "Have you ever thought about cookbooks?" she asked politely. I gave her a primer on the proposal we were creating and she said casually, "send it to me. I'd be happy to take a look." We did and, lo and behold, Rizzoli decided to make an offer. There were others on the table but after a Jeremy had a whirlwind meeting with Sandy in New York, we both agreed that Sandy was our girl. Now, our babies are marching toward 3 1/2 years old and the book is finally here. 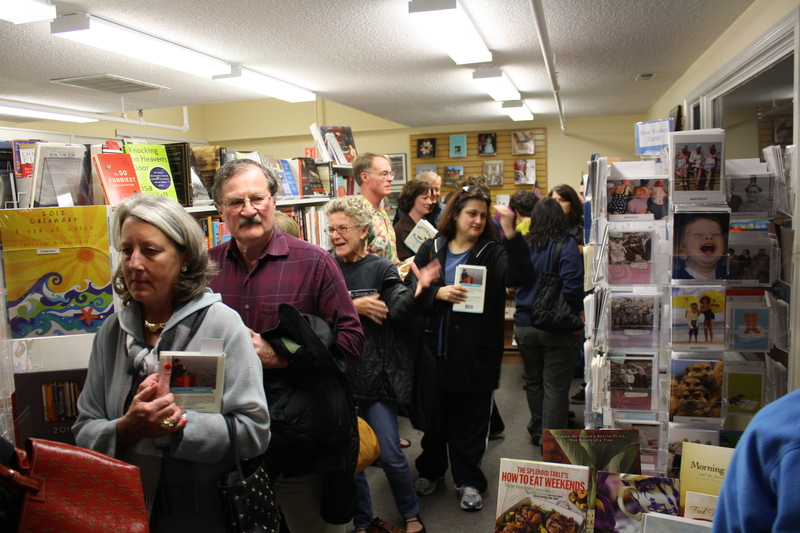 This past week, we celebrated with events at Lineage and ICOB and Jeremy got his first taste of the craziness that is a book signing. Through it all, we've survived another new baby, another restaurant opening, numerous weddings, and a move across the country. I like to think the universe put all of these opportunities together for a reason. I feel lucky to have been a part of it all—the challenges, the rewards—especially since it's given me so much appreciation for the process and for what exactly makes a good recipe. How words, measurements, direction, and voice can engage you in the kitchen, without you even knowing it. I hope Jeremy's recipes resonate with you. Please try a few and let me know what you think. 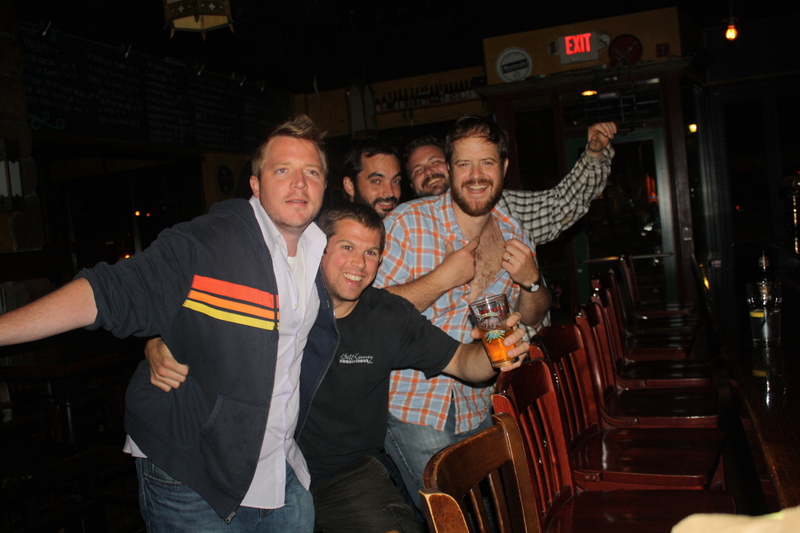 This week also gave me a chance to catch up with some friends in Boston. (Thank you Josh and Nicole for inviting us to your wedding!!) My mom and Maggie were with me for the week so Maggie made her appearance on the book tour and also made her first trip to the farm. As always, it was good to see my friends at ICO -- you guys are growing up in so many cool ways. Now, about that baby. She is perfect. That is all. Seriously, though, she has added so much joy and chaos to our lives -- and I mean that in all the best possible ways. Charlie loves his baby sister to pieces. 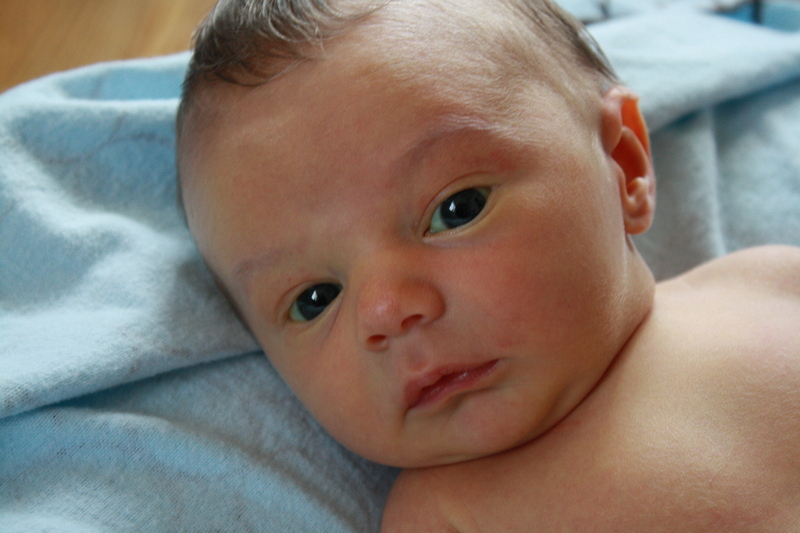 He is a wild and charming little guy who is as enamored with our new arrival as we are. They aren't quite at the age where she can reciprocate the love but if her beaming smile is any indication, she is fascinated by him. We are lucky to have these two happy little souls in our house. Of course, Dave and I are short on sleep, patience, and general sanity but we are acutely aware of how amazing this moment is and how much we cherish each other and our good fortune. Lastly, a note about this blog... it's been such a wonderful place to share all of my news and certainly the easiest to manage. I want to keep going with it but I'm going to move things in a new direction now. 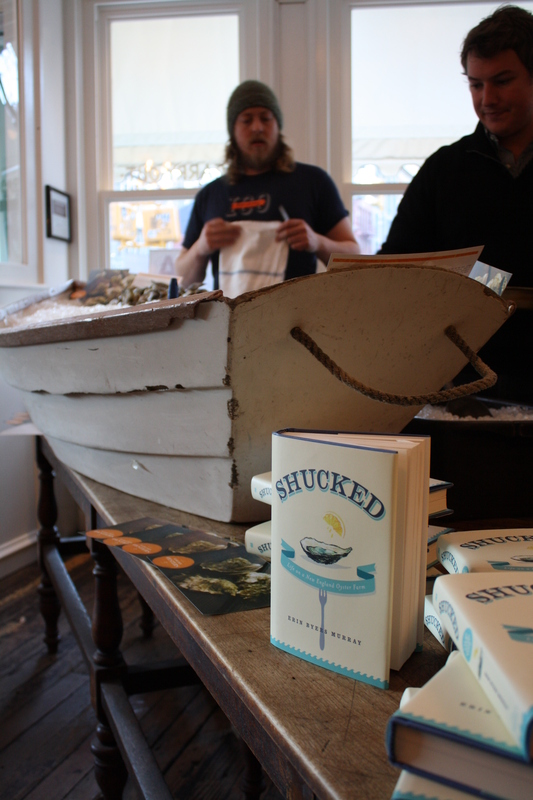 Shucked is still its own living breathing thing (would you believe I've sold almost 10,000 copies so far?) but it's time for me to take all of my pertinent info over to a pretty new home. You can now find me at erinbyersmurray.com where much of this blog also lives and might one day be accompanied by another, down the road. Hope you have a chance to pick up a copy of the cookbook. If you do, let me know which recipes you like. And I promise I'll be in touch soon! And so. Here we are, settled in to our new life in Nashville—maybe too comfortably, considering how little attention I've paid to the blog lately. It's been 9 months, we've bought a house in the Sylvan Park area of town, and both Dave and I are feeling invested in our work. Charlie is a mad man, almost 2 years old and fully running the show in our household. Rex, the family dog, is happier than he's ever been with his big fenced-in yard and air-conditioned house. It's a good life in Tennessee. And we're more than ready for visitors. There is still so much to learn about this town. Both in the music and media worlds, Dave and I feel ever-so-slightly on the fringe. But when it comes to food, we're making headway. The food writers in this town, especially, have taken us under their wings (thank you Thomas Williams, Chris Chamberlain, Jennifer Justus, et al) and we have discovered a number of fantastic little gems (putting together Nashville's 50 Best Restaurants and ranking the top 10 for Nashville Lifestyles this spring didn't hurt). Arnold's, Prince's Hot Chicken, the Catbird Seat, City House, Loveless Cafe... these are iconic for a reason. Need recs for your next visit? Shoot me a line and I'll give you the greatest hits. 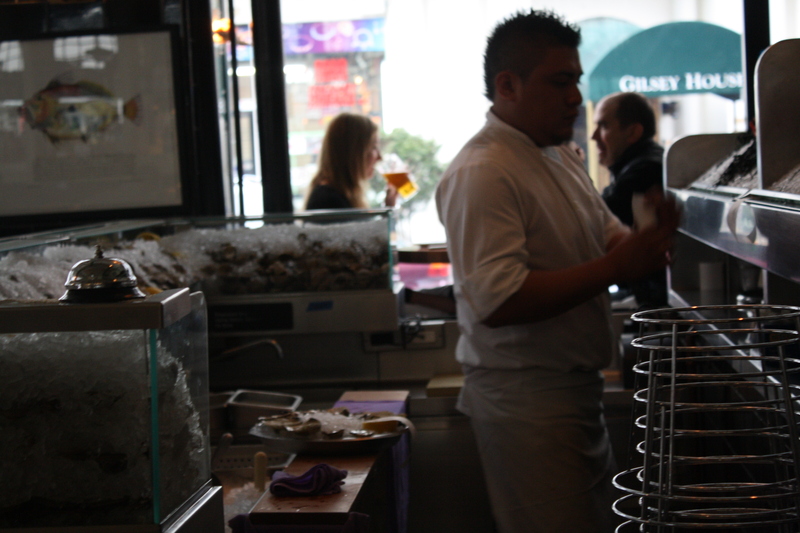 Plus, I've found the oyster bar. Not the oyster bar, since other restaurants in this town have oyster programs, but "the" in terms of the one that I'll be frequenting for the selection, the service, and the atmosphere. The Southern Steak & Oyster (it's right there in the name) has opened their arms wide to me and, more importantly, to Shucked. 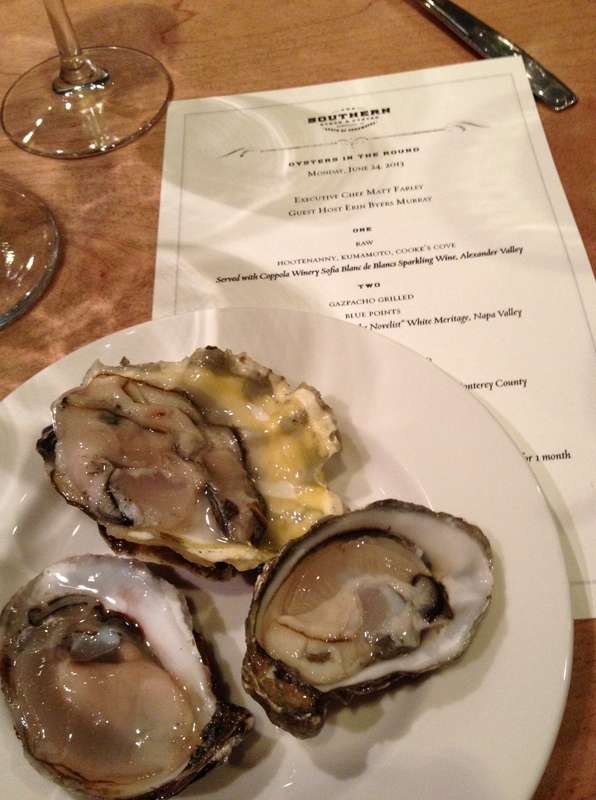 This past Monday, the restaurant invited me to guest host their "Oysters In The Round" event, a new program that puts their guests in a somewhat "round" room to eat and discuss a range of oyster varieties. Fashioned after the songwriter "in the round" nights hosted all over town, the event turned into an educational and convivial one. There are plenty of oyster lovers in Nashville... now it's time to get them access to more of this country's incredible oysters. 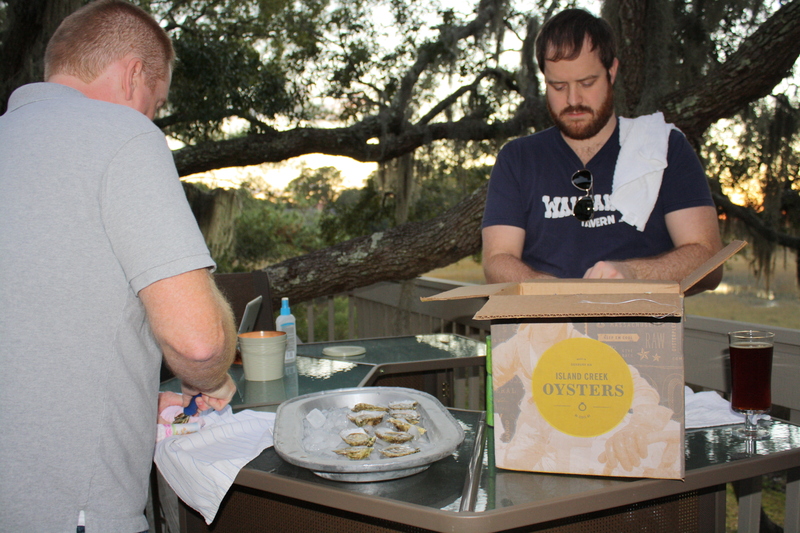 The Southern seems to be one of a few spots that are actively pursuing oyster education—both for their guests and their staff. I was honored to work with them on this and hope we can turn it into a regular event (especially if they all end with a lineup of oyster shooters made with barrel-aged tequila and chartreuse). 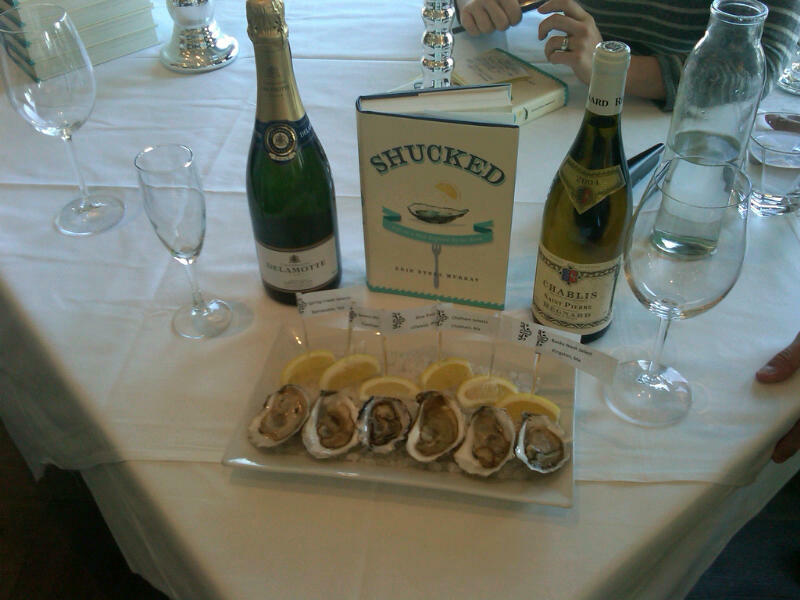 The timing is right, too: Shucked officially hits the market as a paperback this Tuesday, July 2. I'm guessing this version stands as a more appropriate beach accessory than the hard cover—you know, in case you were looking for a beach read. Things are picking back up on the book front, actually. I'll be back in Boston for the Brooklyn Brewery Mash on July 14. Brooklyn Brewery works with Togather, a community of authors and readers, to present book events during their traveling beer series. Starting around 6 p.m. on Sunday, July 14, I'll be joining Graham McKay of Lowell's Boat Shop as well as the team from Island Creek upstairs at Eastern Standard Kitchen & Drinks to talk about the book and offer some fun commentary about life on the coast. If you're in the area, I hope you'll come out for a few oysters and a beer. After that, I have plans to do another book event with Togather, this one virtual, set for July 22nd at 8 p.m. Log in, grab a glass of wine, and let's talk oysters, y'all. In the meantime, please know that despite the radio silence, there's still plenty of oyster exploration going on in my world. Thanks to those of you who are still keeping track. Hi. We're new here. Where should we eat? We've officially found our way to Tennessee--and for the last five or six weeks, have been taking every possible opportunity to eat our way through Nashville. But, between the time change, adjusting to our temporary home with family friends Jim and Carol, and the culture shock of adjusting from the surly northeast to the oh-so-friendly south, we are just barely starting to feel settled, let alone find our new watering hole. 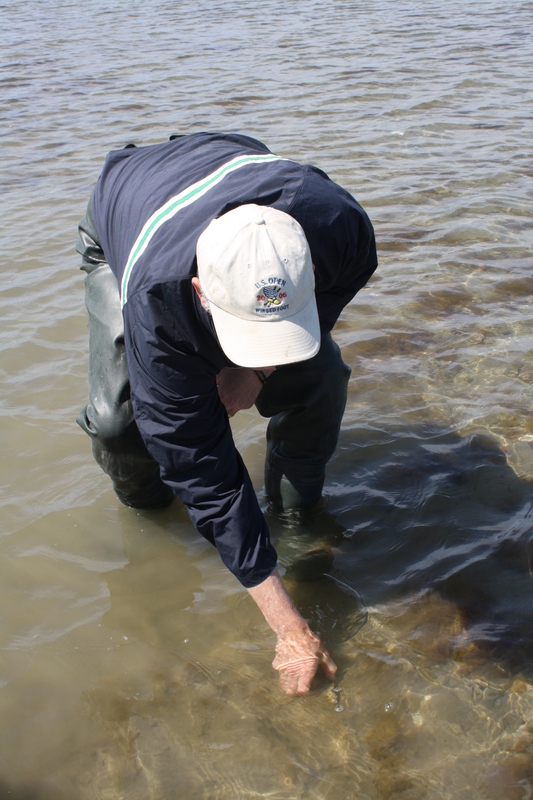 The good news is, we have found oysters! Right after we arrived, I started a new job with Nashville Lifestyles, a luxury magazine that covers all there is to know about living the good life down here. Being back in an office after all these years working from home (or on the farm) was by far the biggest challenge I've faced since the book release. But, I'm taking advantage of my exploratory phase and quickly found a way to do some research on oysters (there's a handy reference guide for Nashville oyster lovers in the November issue). 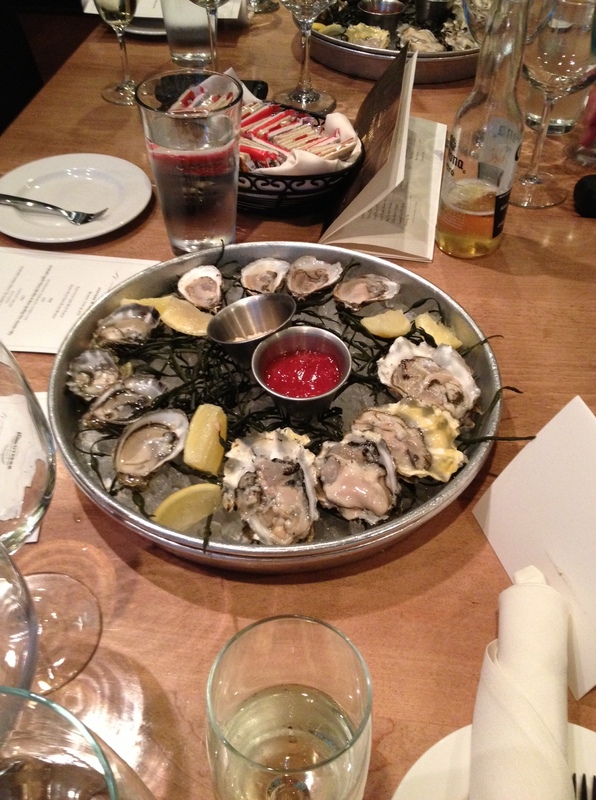 A trip to The Southern with my coworkers netted several dozen (Wellfleets, Kumos, Beau Soleils...) as well as an appreciation for their oyster program and shucking skills, both of which are solid. Meanwhile, Dave and Charlie settled into a day-to-day routine at the house, which is about to be turned on its head: Dave has landed a job (yay!) and Charlie is headed to daycare for the first time ever. He's more than ready for the transition -- he tells us every day, in his very own language, how excited he is to meet new friends. And although the book launch is already a year behind us, I was able to get a few signings in this fall with a swing through the Midwest. Dave and I hit up Milwaukee for a signing at the stunning Harbor House restaurant, where I got to spend the evening with about 50 oyster lovers and the restaurant's incredibly friendly staff. They went out of their way to take us out, show us the town, and left me with the best parting gift ever: an authentic Harley Davidson jacket - huge thanks, Chris! The next day, we made our way to Chicago for a signing at Shaw's Crabhouse and to attend yet another unforgettable Hall of Fame Dinner. This one was in honor of John Hall, founder of Goose Island Beer Company whose very first wholesale account was Shaw's. 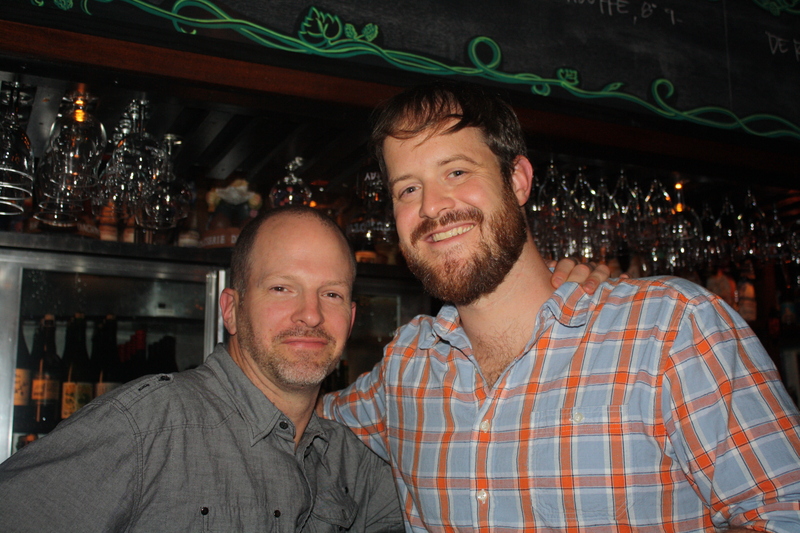 The two businesses have clearly grown up together so it was a great celebration to mark John's milestones--and naturally, there were a number of exceptional beers. Back here in town, Dave and I are back to the task of exploring Nashville's top restaurants (Catbird Seat is high on the list). I'm slowly working my way through the endless number of hip little coffeehouses (which are seriously impressive--they've perfected the vibe down here) but for dining, The Southern will surely be on the regular rotation, as will Merchant's, City House, Holland House, The Pharmacy, Local Taco, and Judge Bean's Barbecue. Our ICOB/Eastern Standard equivalent is still out there, waiting to be found... but we've got plenty of time to make our way down the list. One meal at a time. Bye Bye, Beantown. Hello, Music City. I'm sitting amongst a pile of boxes tonight, packing up all those last little items that seem to sit around until the last minute of a move. 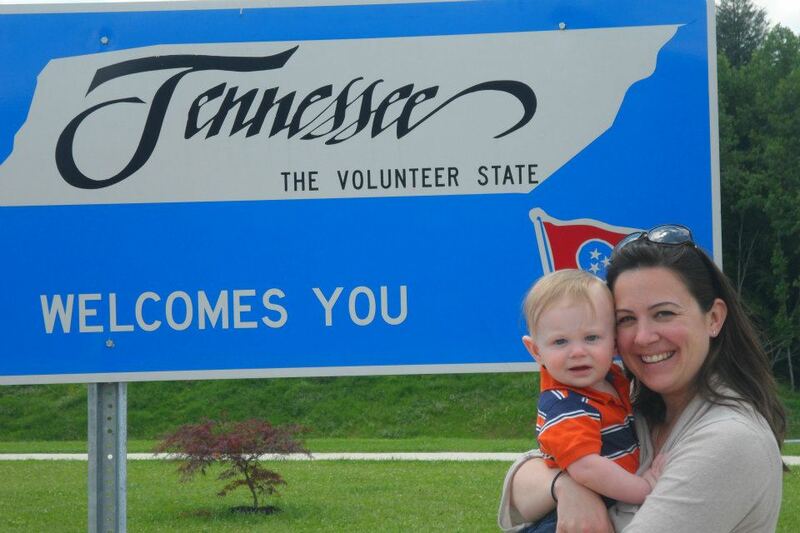 We leave Boston on Thursday morning and head off on our next adventure: Nashville, Tennessee. It has been an unforgettable past few weeks as we've tried to squeeze every last ounce of fun out of our hometown before the big move. But it has also been painful and sad and very, very emotional. Every day brings a new set of people to say goodbye to, a new "top ten reasons why we love Boston list," and a new reason to sit down and cry. We are so unbelievably sad to let this city go.... but also anxious and excited for what's about to come. As for that announcement I promised in my last post, I can finally let you know that I've signed a deal for my next book project: A seasonally inspired New England cookbook with Chef Jeremy Sewall. Jeremy and I go way, way back to the days before Island Creek, back when he first moved to Boston to open his then-restaurant Great Bay. He now owns Lineage in Brookline, consults as the chef at Eastern Standard, and is partners with Skip Bennett and Garrett Harker at the Island Creek Oyster Bar (where Great Bay once lived). Jeremy and I joke that we're now "committed for life" with this project and partnership and celebrated, fittingly, with a magnum of champagne and a toast with his staff at ICOB. I could not think of a more suitable chef and friend to write my first cookbook with and I am so excited for the day when we can finally show it off. The book will be published by Rizzoli in October 2014. Most importantly, this project will bring me back to Boston often. We have a lot of work to do and food to cook. Jeremy and I work well together electronically but will have plenty of excuses to put our heads together and eat. Which means I'll be up here as much as I possibly can -- and cramming in as many restaurant meals with good friends as time allows. As for our last few days in the city, they have been, in a word, epic. This past weekend, I had the absolute pleasure of helping to coordinate another Friends For Haiti event, a fundraiser that supports the work of the Island Creek Oysters Foundation. It was a wild and memorable Duxbury weekend, starting with a feast at Jane and Bob Hale's house and ending with a post-event, late-night session at the Winnie. The event was the best we've ever hosted with an outstanding group of guests and plenty of fantastic food. 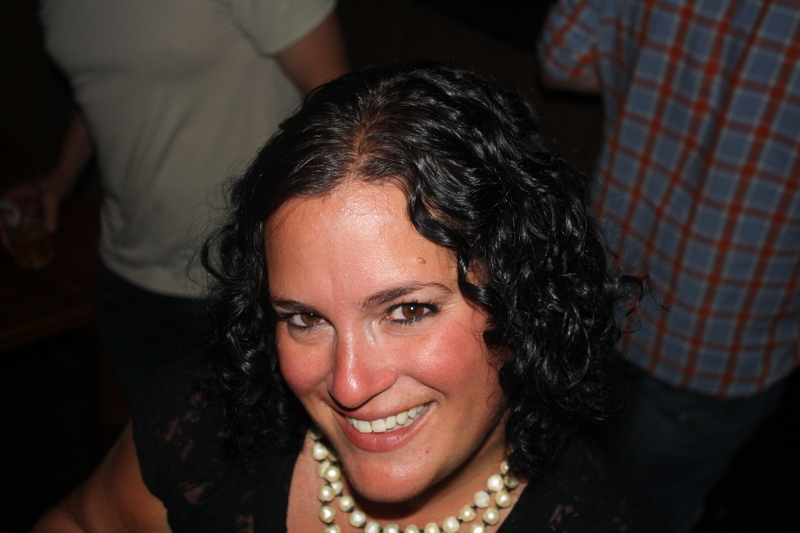 Last night, our very dear friend Nicole Kanner of All Heart and Eat Your Heart Out fame organized a going away party at the Oyster Bar for us, followed by a rowdy toast with the Publick House team at Dave's old bar. All told, we consumed way too many drinks, gave several mediocre to terrible speeches, and hugged and cried our hearts out. For Dave and I, it was the perfect end to world-class run. And now, we really do say goodbye. Or at least, see you soon. Boston: You have been our home and our haven. You have treated us like family and you have nestled your way into our hearts with undying devotion, enthusiasm and loyalty. We met here, built our careers here, started our family here, and we will take the friendships we've fostered here wherever we go. Thank you for everything, Boston... Nashville, here we come! But, there is news to share, which means it's time for a long overdue post. As if having a baby and producing, publishing, and marketing a book in one year weren't enough... we've decided to relocate to Nashville, Tennessee. I've accepted a job to be the managing editor of a pub called Nashville Lifestyles -- my family and I leave Boston in just 4 short weeks. Now, if you've read the book, you might be thinking, "Gee, that sounds an awful lot like the career she left way back when to go do this oyster thing." And yup, that's definitely true. But... and there is a big "but" here... things are different now. (His name is Charlie - aka: Poseidon -- and if you haven't met him yet, he's pretty adorable.) Charlie is a major reason why I've decided to take this job and we, as a family, need to make this move. Not only will this move get us much closer to all of Charlie's grandparents, but it will bring some much-needed stability and yes, even a little bit of sanity to our lives. We've been talking about a move to the South for years. For as long as Dave and I have been together, actually. 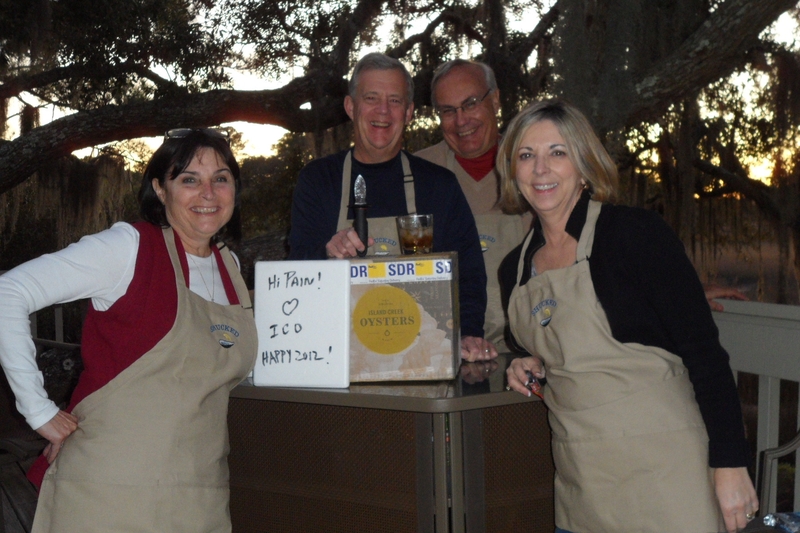 Our parents are in Hilton Head, SC and Knoxville, TN. My sister is in Charlotte. We've always talked about raising our kids in the South and as soon as Charlie arrived, we knew we needed to make that happen pronto. This opportunity came up midway through the summer and after a phone interview and a whirlwind trip to the NL offices, I was offered the job and the decision was made. It's time. After 11 years in this city, I can honestly say that it is officially time. The past year has been a trip. We went from living this non-stop, deliciously crazy, excitement-filled life to one that was suddenly dictated by a very sweet (and handsome) but very demanding little blonde dude. He's always up for an adventure, sure. But letting his mom drop everything to go work on a farm or, ahem, giving her the luxury of sitting down to dwell over the nuances of blog post? Nuh-uh. The kid is not having it. This is, of course, all completely fine because a year into Charlie's life, I can tell you that whatever he is doing, or picking up, or jabbering about, or pushing around with sticky fingers, or pulling himself up on, or watching, or sleeping in, or even breathing near is WAY more intoxicating than that old life we left behind. (I guess that's what all the fuss is about.) It is hard to imagine anything better in the world than our life with him. Even if that means life without Boston. This year has taught me a few things about myself. The first, and biggest lesson, is that I desperately need structure. Structure makes me a better person, a better wife, and a better mom. It gives me the confidence that tomorrow will go smoothly and that Charlie will be a happier kid because of it. This new job will give me structure, as well as a creative outlet; it will give me a magazine to craft, and shape, and edit, and enjoy...much like a book would, only shorter and with more to offer the world on a regular basis. This job is a very good thing and I can't wait to get down there and get started. But all of this makes the move even more exciting for both of us. The promise that we will get to know a new city and hopefully have the opportunity to fall in love with it just as deeply as we did with Boston has re-energized us. Dave will be making his way in Music City -- a dream he's had since he first started teaching himself guitar in Knoxville -- and returning to his home state. I will be going back to a full-time career in media, a world I've missed (albeit sporadically) since leaving it that fateful day so many years ago. Yes, we'll be closer to family but we will also be closer to a life that we've always wanted for ourselves. The only real question that remains is: Where will I get good oysters down there? Oyster bars? 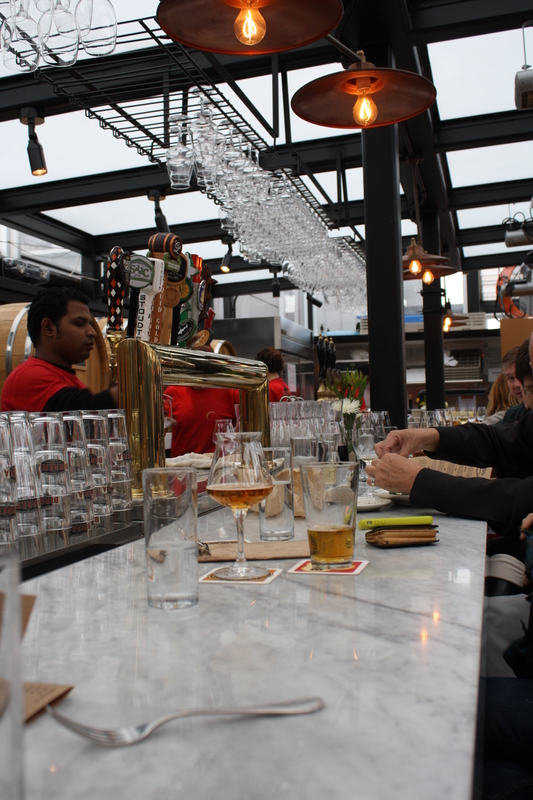 Brasseries? I'm open to suggestions...or perhaps a promise from my friends at Island Creek that they will one day open a Southern version of ICOB. A land-locked girl can dream, can't she? 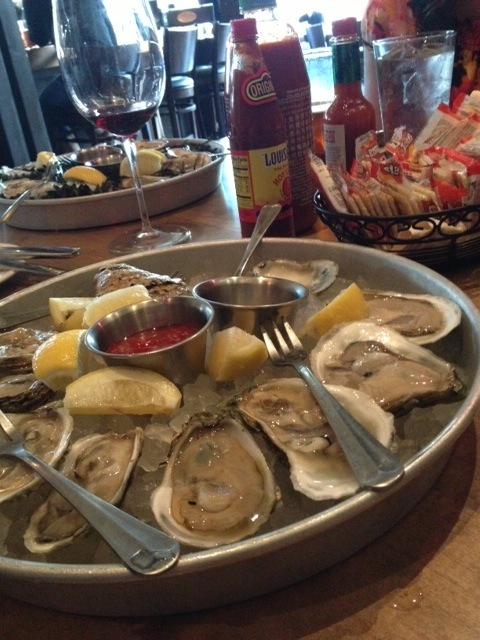 There were, of course, plenty of opportunities to eat oysters. And I even managed to visit the farm on two occasions - one educational, one momentous. A few of the highlights, in photos. ...as well as a how-to on culling, counting, washing and bagging. 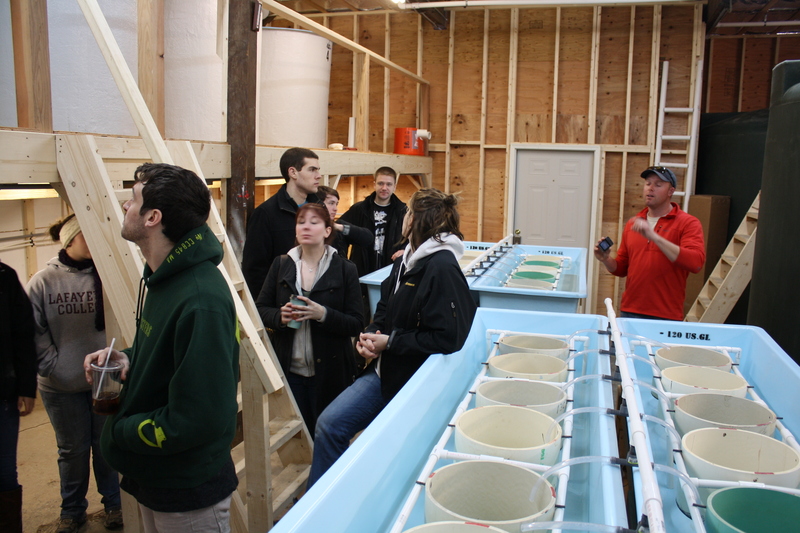 ... because they were all thinking about the farm's new hatchery, which Gardner led them through as he educated them on the intricacies of algae and oyster spawning. His analogy of it being "a little bit art, a little bit science," resonated with everyone. 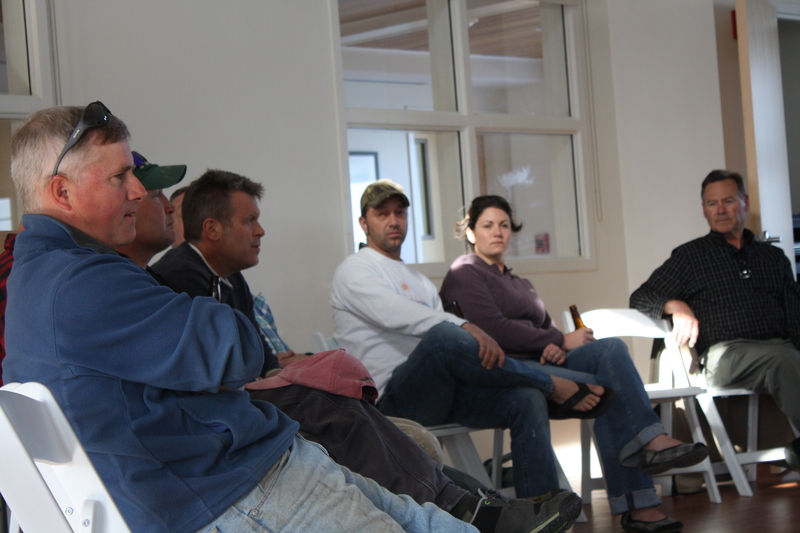 We wrapped up the day with a panel of oyster growers, like Christian Horne, Joe Grady, and John Brawley from ICO plus Russ and Mary-Kate Sandblom of Sunken Meadow Oysters, Jon Martin of Moon Shoal, and Eric Brochu of Big Rock Oysters. The take away? It's harder work than you think it's going to be; family is the biggest support system these guys have; and one of their favorite parts of the job is being out on the water on a gorgeous day from sunrise to sunset. 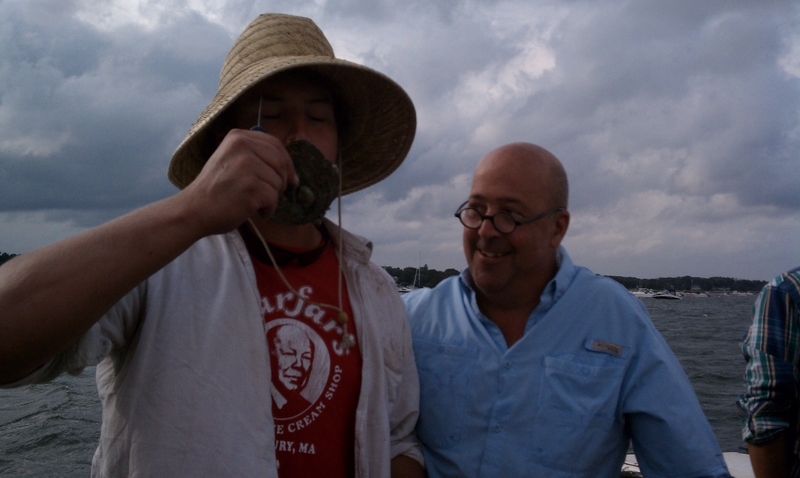 ...and got a lesson in how to pick oysters by hand. How did it get to be March already?! The book mobile has been rolling nonstop since the holidays so I've hardly had a chance to breath let alone put something up on the blog. But things have started to slow down -- relatively -- which means it's time to catch you up. My "world tour" made a quick stop in Chicago where Shaw's Crab House and the culinary group Chicago Gourmet hosted Skip and I for a luncheon and book signing at the Shaw's Oyster Bar. Dave and Charlie joined me, as did my father-in-law Dave along with a few other Murray family members giving me plenty of familial support... but even if I had been by myself, I would have been surrounded by friends. The entire team at Shaw's made us feel like we were part of the family, giving us free reign of the space throughout the day and even inviting us to their staff bowling party later that night (sadly, we were on baby duty...) It was an epic day filled with new friends and plenty of book lovers. Next stop was New York City where Dave and I went on a much-needed adult-only restaurant crawl hitting up as many oyster bars as we could find. My super quick synopsis is below. The trip wasn't all research, of course. 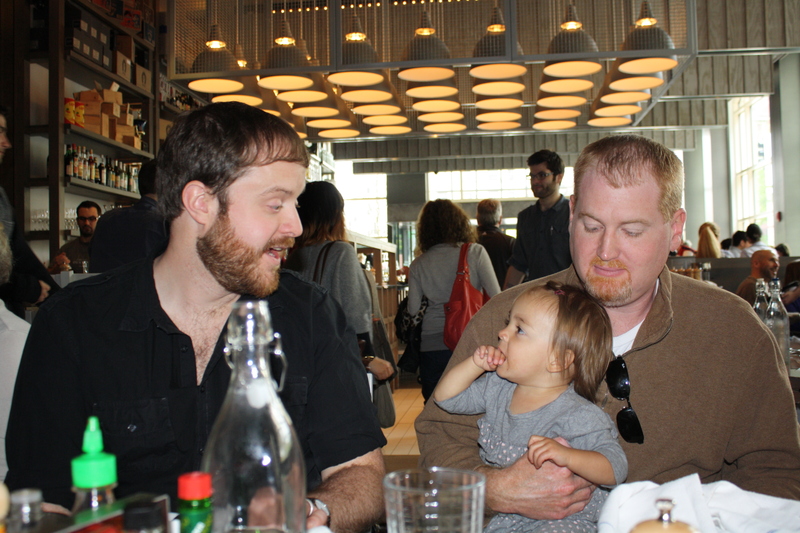 The guys from Island Creek joined me for an oyster and book event at Peels NYC -- my first NY signing to date. It was great to get back behind the boat for a few minutes and the guys were, as usual, the most popular folks in the place. In between all of the traveling I taught a merroir class at Boston University. 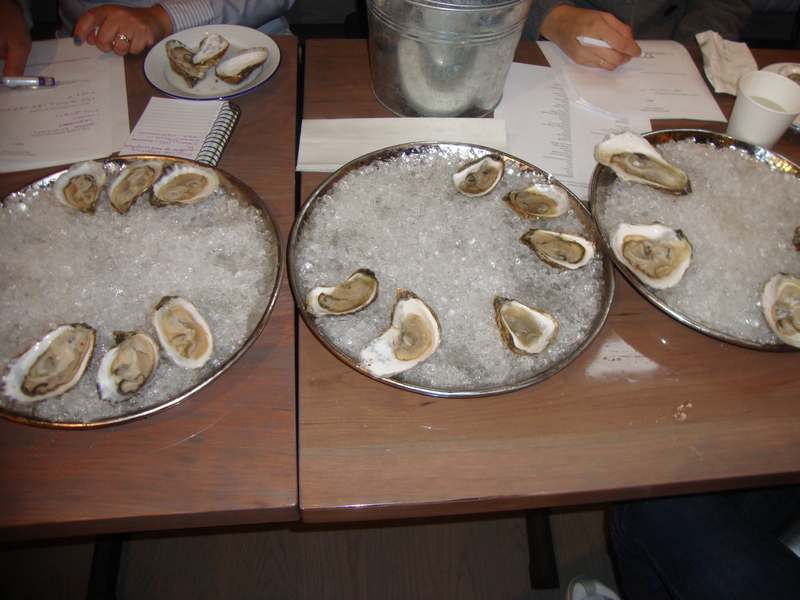 Before tasting through a dozen different oyster varieties, I walked the students through the flavor profiles of four different species: we had East Coasts, Pacifics, Kumos and Olympias. (Unfortunately, the Belons were being finicky.) 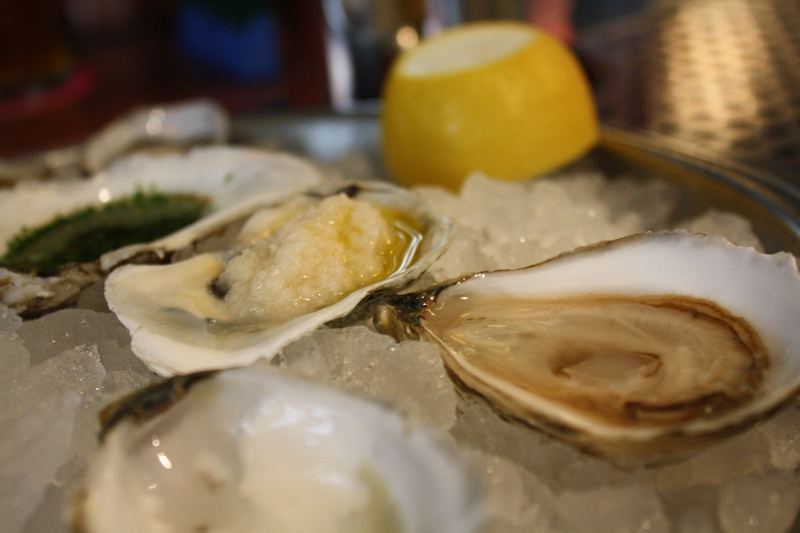 We dipped into a little oyster lore as well as a bit about how each oyster was grown. The students were fantastic - really engaged, solid questions, and hopefully took away a little ammunition for their next trip to the oyster bar. Behind the scenes, CJ & Hoban from ICO plus Frank & Francisco from ICOB kept the oyster platters filled before joining me out front to offer a quick shucking demo. Overall, I'd say the class was a raging success... and I'll be doing another one at Formaggio Kitchen at the end of April. There's been a pretty fantastic run of press for the book these past few weeks, too. I'll work on getting the press on my About page updated -- in the meantime, check out the links to my interviews on The Splendid Table and ABC 7 Chicago. So when does reality kick back in? The past few weeks have brought me back down to earth as we've gotten back into the rhythm of work / home life. But we did take a quick break this past weekend to visit Dave's sister in New Haven -- her family just welcomed their second daughter, Becca Jean on Friday! I'm happy to report that she is healthy, happy, and has a stunning head of hair, just like her big sister. 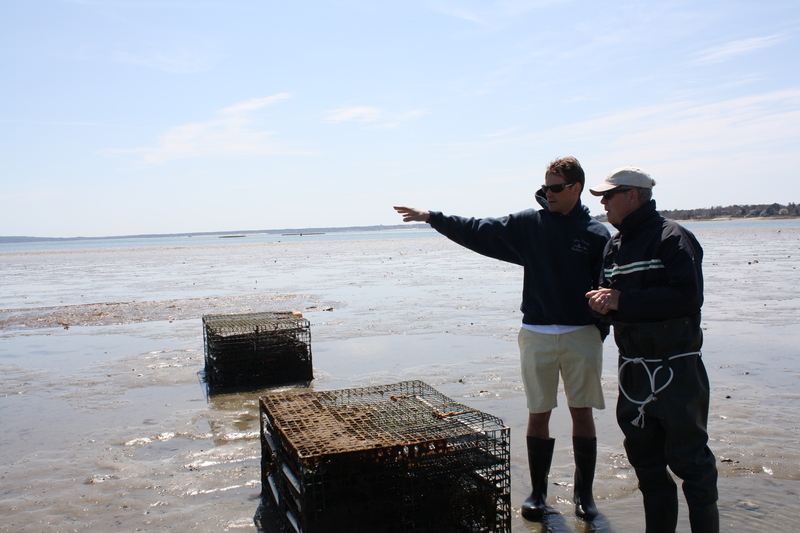 Despite the book tour quieting down, I'm still swimming knee-deep in oyster work -- mostly thanks to some side work I'm doing with the farm and upcoming classes and oyster program. To answer a question I get asked almost daily, no, I never do get sick of eating those little suckers. Hopefully you won't either. 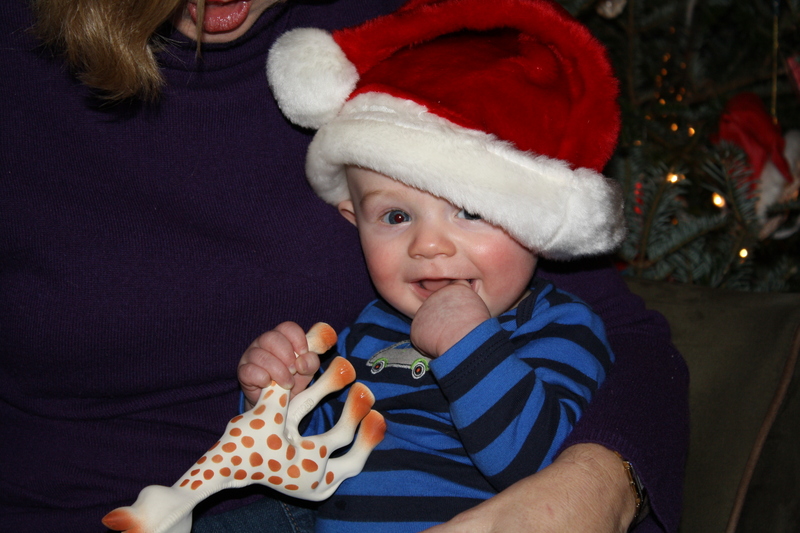 As far as year's go, I'd say this one's starting off on the right foot. 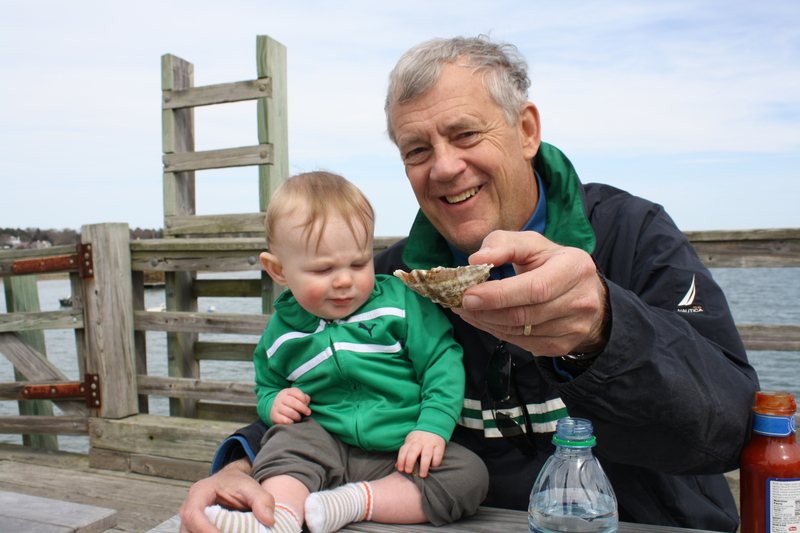 We spent the first few weekends traveling both for the book and for fun and I've managed to meet a number of die-hard oyster lovers along the way. 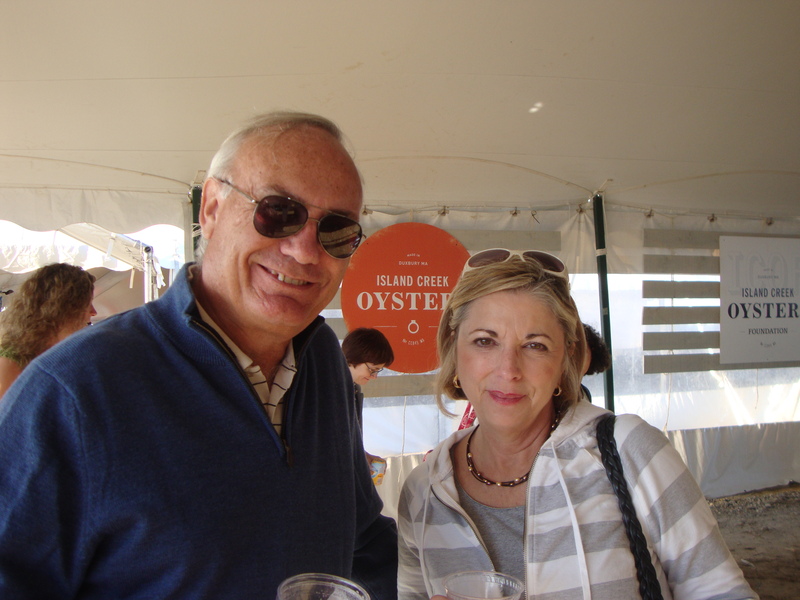 My trip to Houston brought me to some of the nicest, most voracious oyster fans I've ever encountered. Brasserie 19 hosted an oyster and wine tasting set for 4 pm on a Friday and sure enough, the place was packed to the gills and completely sold out at over 160 people. The entire crowd was into it, slurping back our selection of East and West coast oysters with genuine excitement for what was on the plate. My Dad, who played manager/bodyguard for the night, got a few pictures but mostly, we just enjoyed chatting up the crowd and spreading oyster cheer. 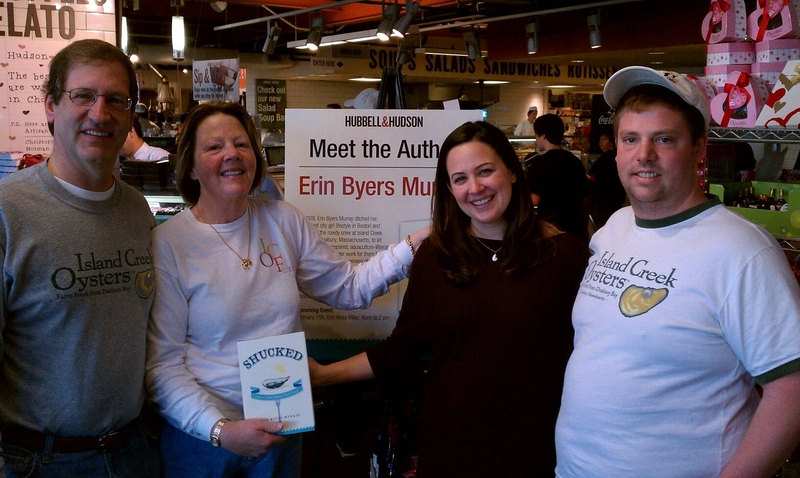 The following day, Hubbell & Hudson, a fantastic gourmet market in The Woodlands (with its own walk-thru beer cave and on-site cooking school) hosted me for a signing which drew a decidedly different oyster crowd: the kind who enjoy them at home. 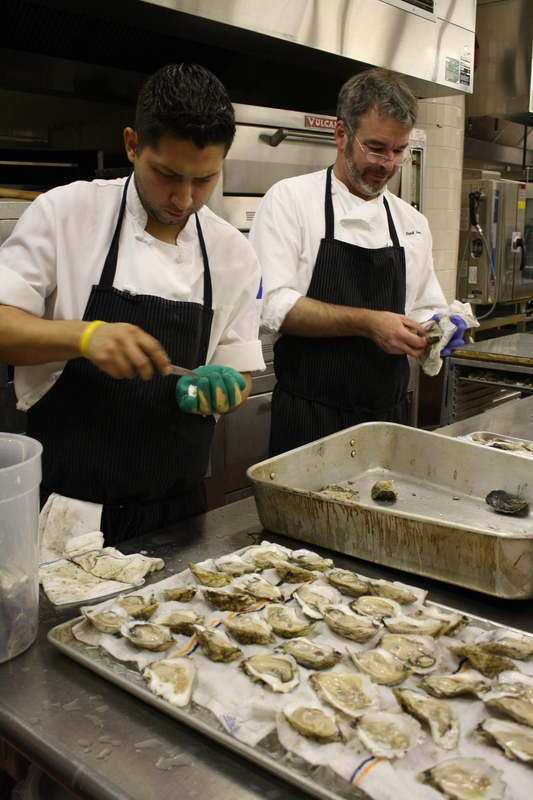 It was so refreshing to see so many folks who were comfortable with a shucking knife. Admittedly, before I worked for Island Creek, I don't think I would have braved shucking oysters at home on a regular basis...special occasions are one thing but these folks seemed to be bringing oysters home just because it was Saturday. It inspires me to get back into the habit. We also got to see some of my family's Texas friends, as well as some of the extended ICO family: Shore's aunt, uncle and cousin. It's good to see these pockets of die-hard ICO fans spread throughout the country. 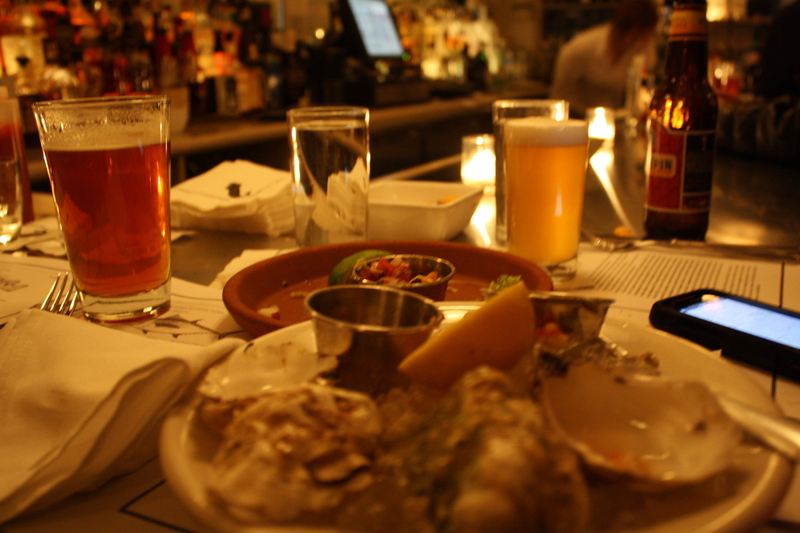 Here in Boston, I've been busy dining my way through oyster menus at spots like Harvest and La Morra. Next up, I'll be doing a signing at the Weston Library this week, followed by a dinner at STIR Boston next Wednesday, Feb. 1. Then it's on to Chicago, a class at Boston University, New York City... yes, it's turning out to be quite a year. For those keeping track, Charlie's now a pro at getting through airport security. Will I see you on the trail? 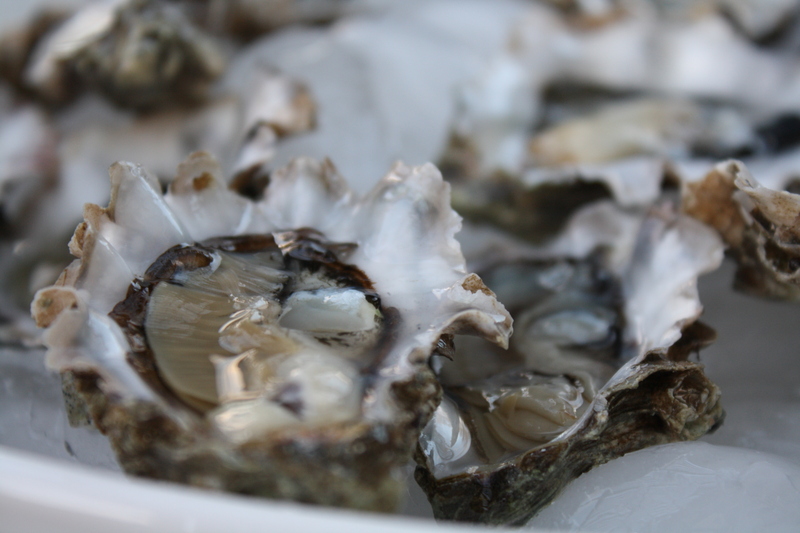 If not, you'll be able to get a glimpse of SHUCKED on the air a few times in February. My interview with The Splendid Table airs the week of February 18... but before that, our long-awaited appearance on Bizarre Foods will air Monday, February 13 (host Andrew Zimmern gave the book a little love this past fall). Tune in for a look at life on the farm... and hopefully I'll see you out on the road! PS - Check it out: I made it onto a local bestseller list! Closer to home, I've got some really fun events coming up including a very special night we have planned at La Morra in Brookline. Chef Josh Ziskin cooked a meal for some wine-loving friends and I right before I started on the farm -- he paired oysters with gnocchi and it pretty much blew my mind at the time. He and his wife Jen are very kindly hosting a Shucked dinner (four courses, paired with wines for $65) on Wednesday, January 18 at 6:30 pm to commemorate the journey. I hope you'll come out for what is sure to be a stellar meal. - We hit the road for a ten-day Southern tour stopping first in Charlotte to spend a few days with my family and then made our way to Knoxville to celebrate Christmas with Dave's family. 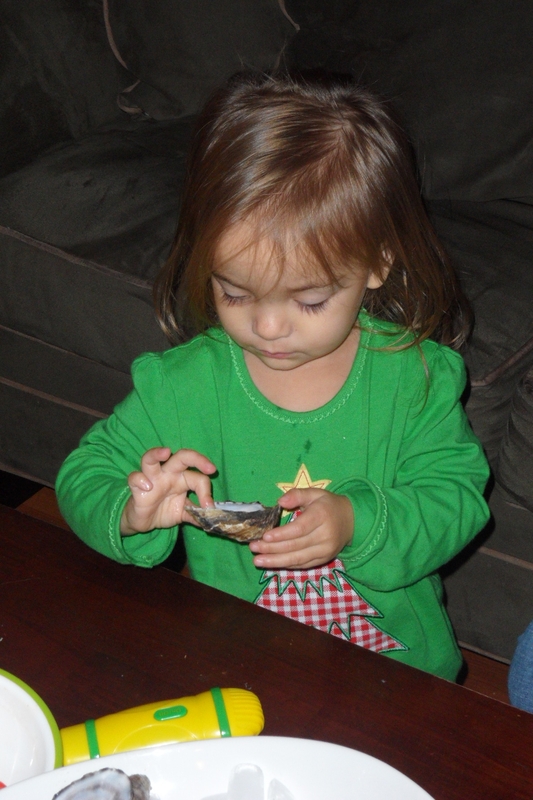 - Both my niece Gracyn and Charlie teased the idea of trying oysters. 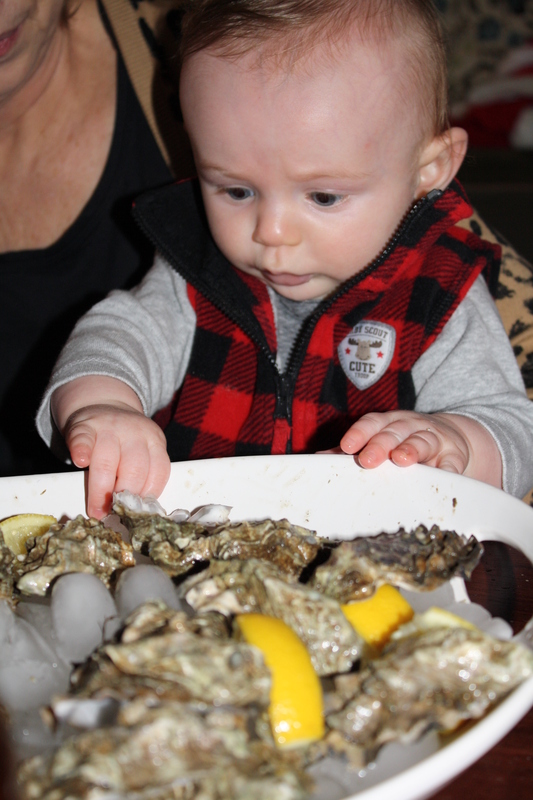 Alas, neither fully took the plunge but I see a couple of oyster lovers in the making. 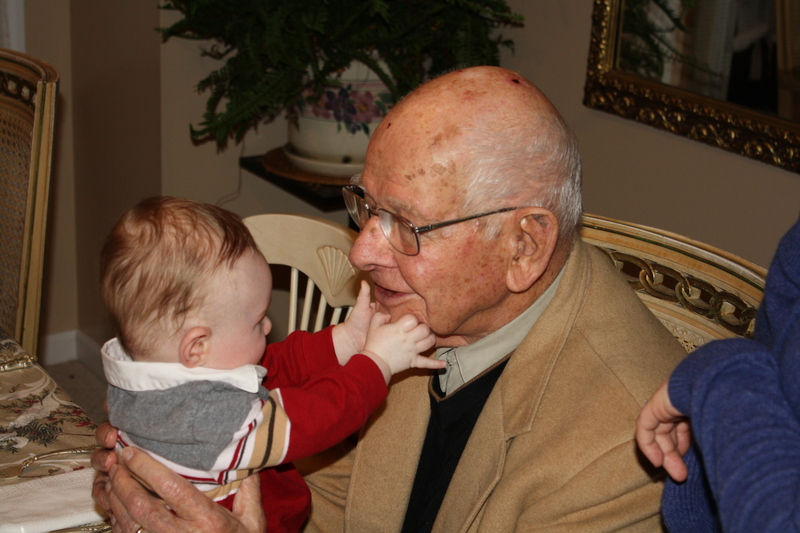 - Charlie got to meet his great grandad Joe, or JoeJoe as the kids call him, another milestone that formed an instant friendship. 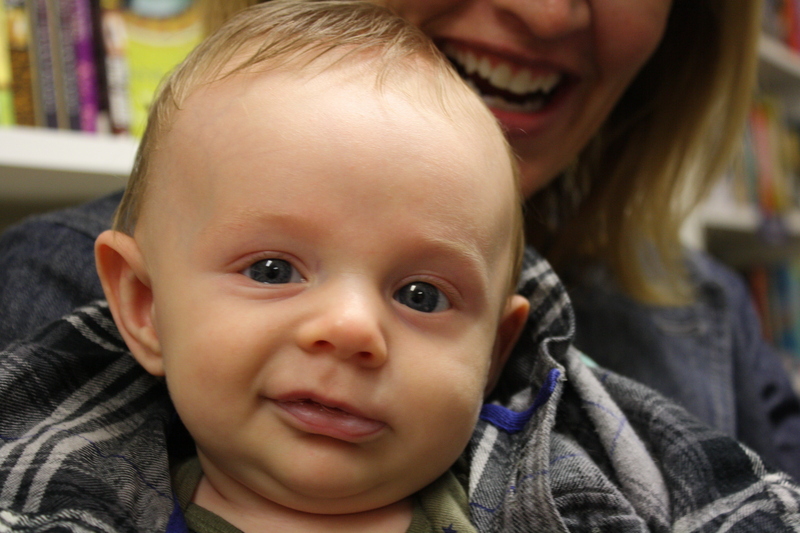 Between JoeJoe, Charlie's cousin Alice, and the many cousins and aunts and uncles we spent our week with, Charlie was fully entertained during our time in Knoxville (and I think it's safe to say that the rest of the family was, too)! 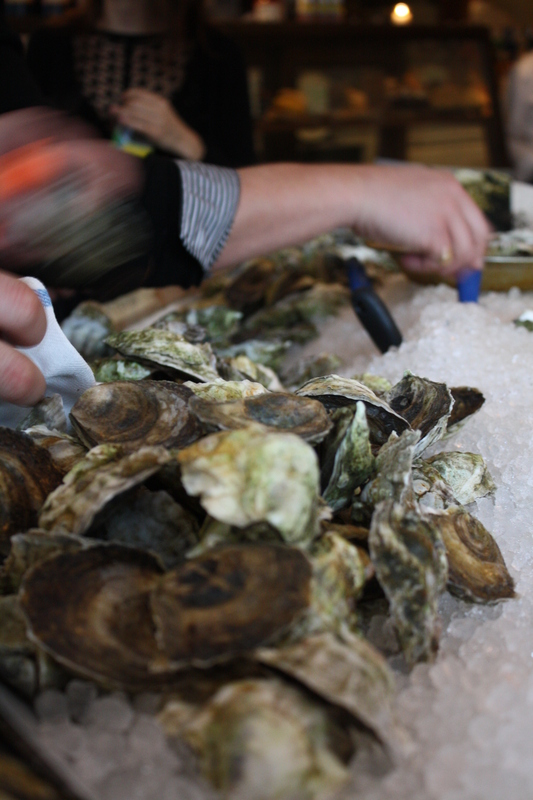 What better time to eat a couple dozen oysters than with friends and family over the holidays? We were down in Hilton Head, South Carolina over Thanksgiving where my parents have officially settled in for the long haul (Thanks, Mimi & Pop Pop, for another unforgettable holiday!) and managed to get several dozen Island Creeks into the mix. We slurped most of them back on the half shell but also threw a handful on the grill where, after they popped open, we doused them in butter and Mexican hot sauce. It's one of my favorite no-fail recipes from chef Ken Oringer. We also made an herbed oyster stuffing again this year but for that, we used South Carolina oysters. I stopped at two grocery stores before snagging the last two dozen at the Piggly Wiggly. 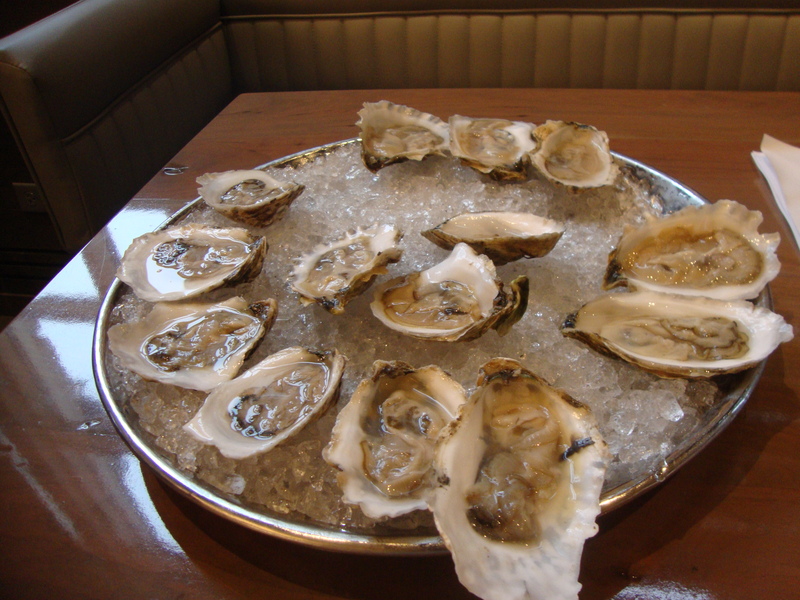 Apparently, South Carolinians go crazy for oysters on Thanksgiving. I also got some exciting news over the holiday: Shucked is going into its first reprint! That means there will be plenty of copies for you and your loved ones (hint hint). 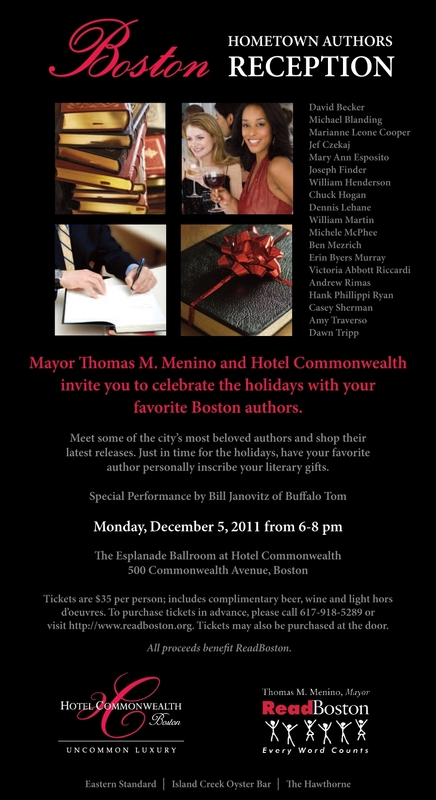 I'll be out and about signing books over the next few weeks, starting on Monday night at the Hotel Commonwealth (check out the flyer below) so come on out and get a signed copy. 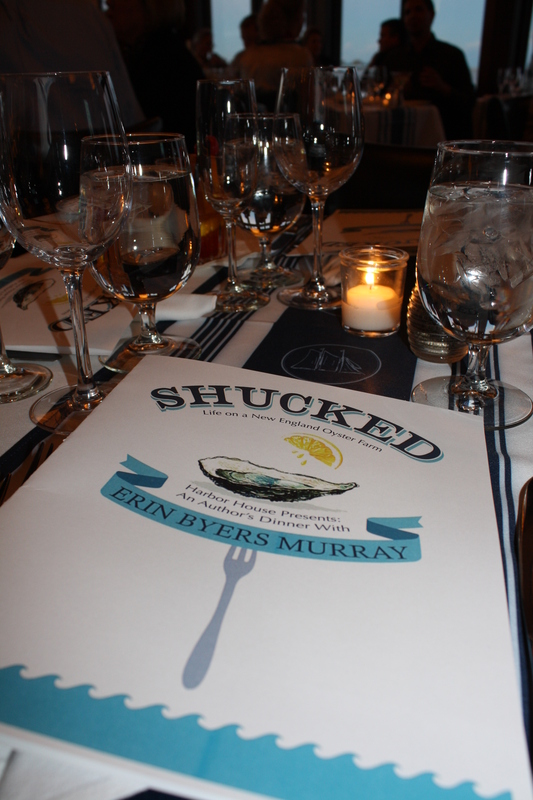 SHUCKED: Life on a New England Oyster Farm, now available! It's here! 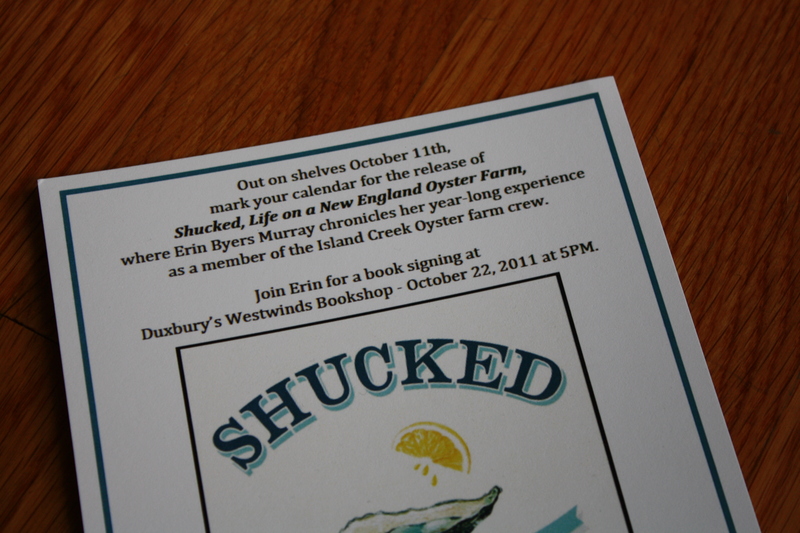 Today is the official release date for my new book, SHUCKED: Life on a New England Oyster Farm. 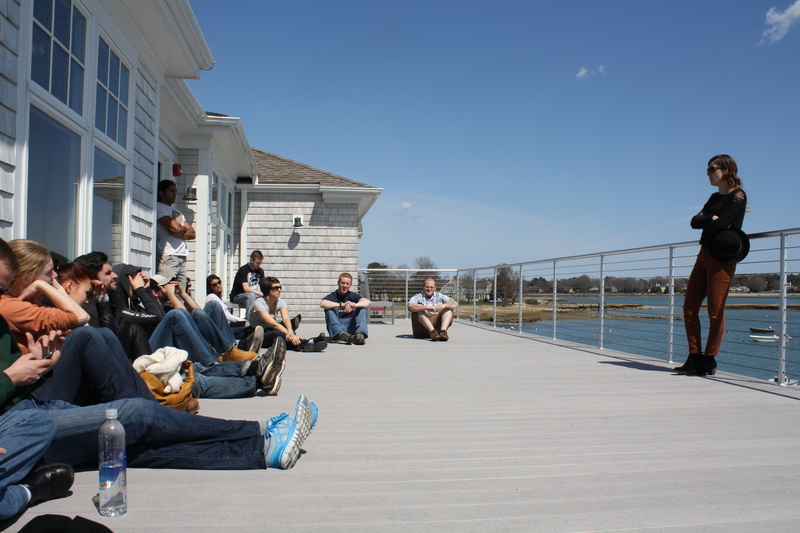 It's hard to believe that just over three years ago, I came up with the crazy idea to work at Island Creek. The book captures the entire 18-month journey, from my first shaky days out on the flats to the kitchen and dining room at Per Se. For those who have followed along on the blog all these years, first of all, THANK YOU! Secondly, you will find that the book goes a lot deeper than what you've seen here, so I hope you'll give the full version a go. And there are recipes to boot! Thanks so much for all of your support... and for reading! After enduring a little over 9 months without oysters, I'm now eating my weight in bivalves in order to make up for those painfully empty days. Or at least, that's the excuse I'm using. That, and the fact that I'm promoting an oyster book pretty much give me free reign to eat Island Creeks for breakfast, lunch, and dinner if I so please. Just over a year ago, I helped the guys at Island Creek put together an insane oyster tasting that put 18 oysters from both coasts side by side. 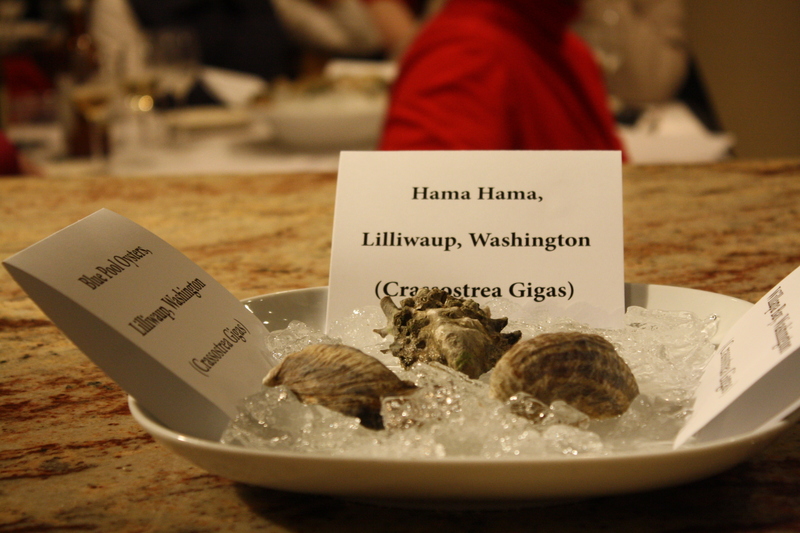 The tasters included a number of wine experts -- the idea was to create a new set of oyster descriptors, a new language that we could use to better describe the complexity of merroir. 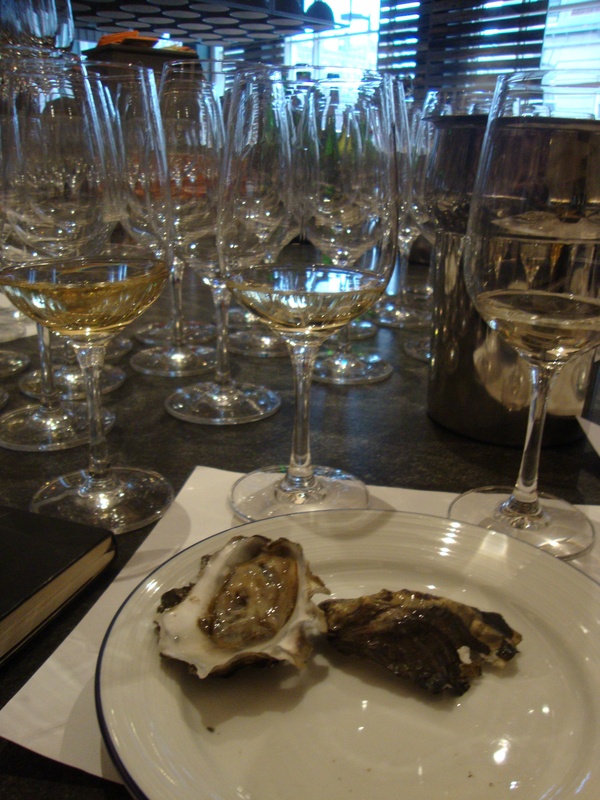 The tasting was a huge success in that we collected some out-of-this-world terms (lobster butter, shiitake mushrooms, linden flower) and because I still use a lot of the terms regularly when tasting several different oysters in one sitting. It's the difference between calling a Rocky Nook "salty" (which it is) or saying it has an "olive-like brine." Or recognizing that the toothsome, beef-like bite of a Moon Shoal is balanced by its brown-sugar finish. These past few weeks, I've had the honor of tasting oysters with some fellow journalists who just happened to be interviewing me for the book (ok, so there was usually bubbly involved but, I swear, we were getting work done) and it occurs to me that there are many, many more oysters out there for me to try. Dave, Charlie and I are headed down to Charleston, SC for the Association of Food Journalists conference tomorrow where I'm told I need to get my hands on some Capers Blades (what a killer name). 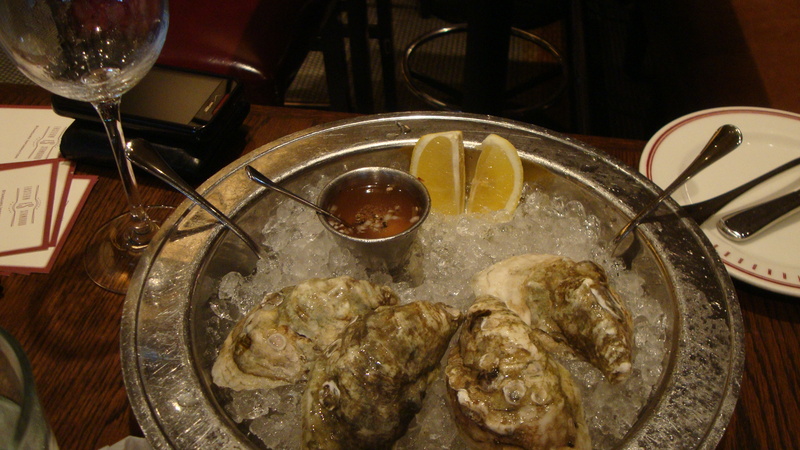 I'll also be in Philly in November tasting oysters at DiNardo's and look forward to seeing what's on their list. The point is, I really need to keep practicing. Like with wine, tasting is the only way to improve the palate. So, this past week, I got back to it with some old favorites: Moon Shoals, Beachpoints, Wellfleets, Belons, and of course, Island Creeks. The good news is: I still consider Island Creeks the gold standard of East Coast Oysters... a fact I'm guessing will never change. So what are your recommendations? Any others out there I need to try? 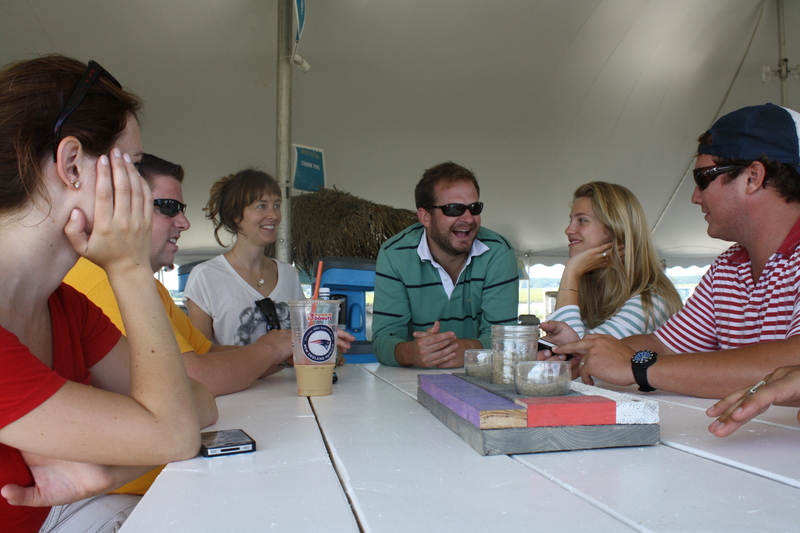 Where better to dive back into adult reality than the Island Creek Oyster Festival? 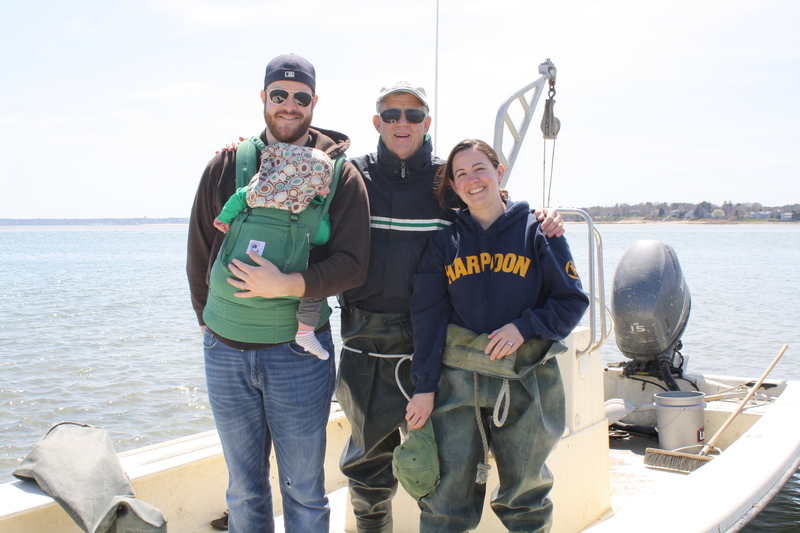 I admit I've been a victim of "baby brain" these past few weeks so it felt good to get back down to Duxbury and help out with the nuts and bolts of this massive annual event. I'm not sure how much of a help I was to those who had been immersed in the minute details these last several weeks (Cory, above, included) but at the very least I think I earned a few of the many oysters I downed during the party. 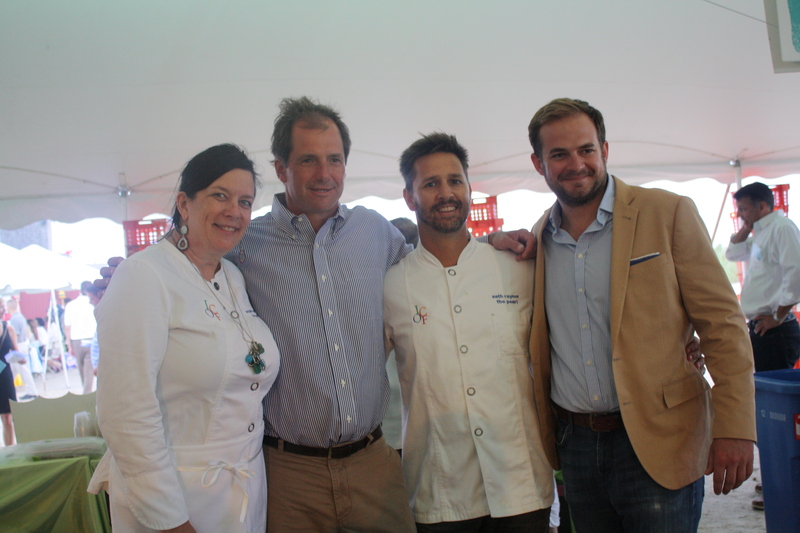 The event kicked off Friday night with the first ever Friends For Haiti fundraiser which brought some big name chefs into the mix. We had Jonathan Benno from Lincoln (nee Per Se) and chefs Brian Huston and Erling Wu-Bower from The Publican in Chicago along with good friends Jody Adams, Angela & Seth Raynor, Jeremy Sewall, and a host of others. There was a fantastic live auction which Angela co-emceed with editor Annie Copps as well as the Festival's first ever "fire pit." 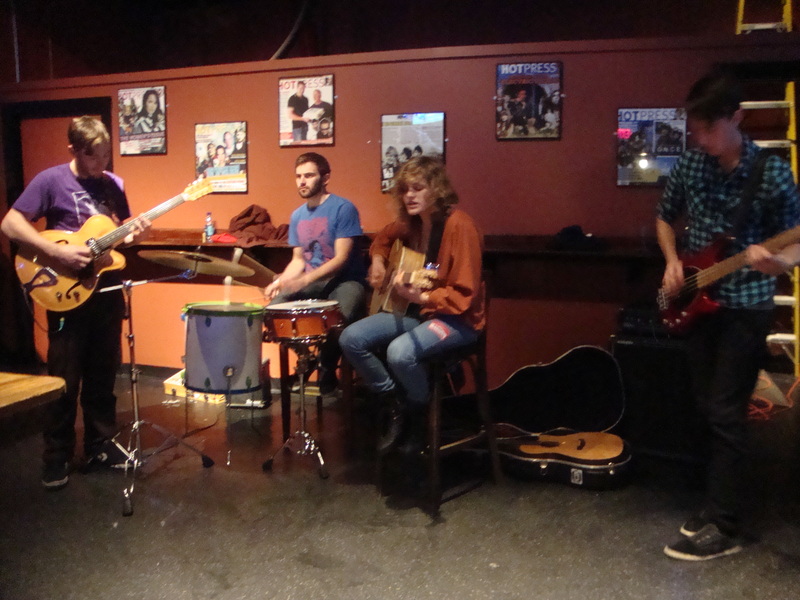 Suffice it to say, our little festival is all grown up! 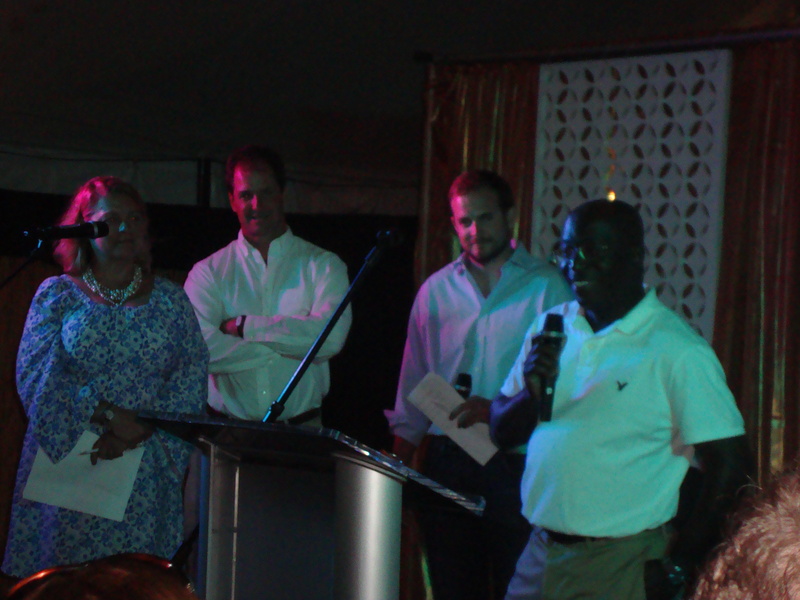 The Friday night event proceeds went to Caribbean Harvest, a program founded by Valentin Abe who came up from Haiti for the festivities. He very kindly shared his story with the crowd before the auction, explaining that his work is all about the people he helps. Read more about what he does here. On Saturday, Island Creek hosted it's annual Oyster Festival complete with thousands of ravenous oyster and food lovers, a couple dozen chefs from Boston and NY, and as always, a killer band. 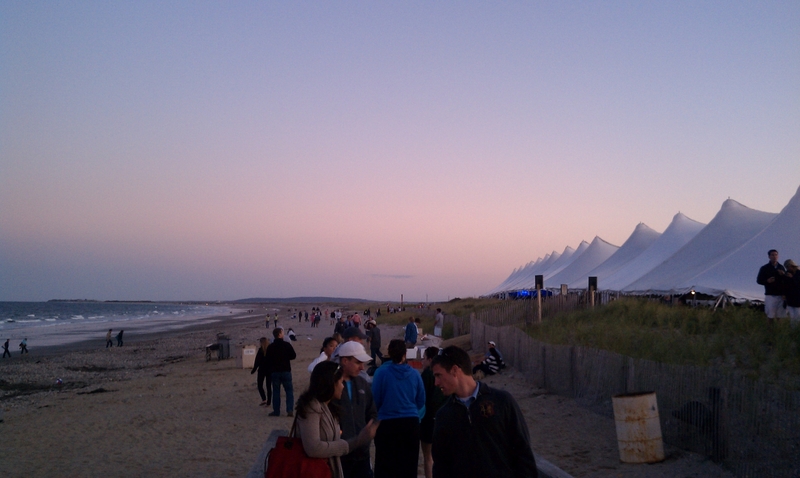 It was a perfect day that turned into an absolutely stunning night, as captured by Dave out on the beach. 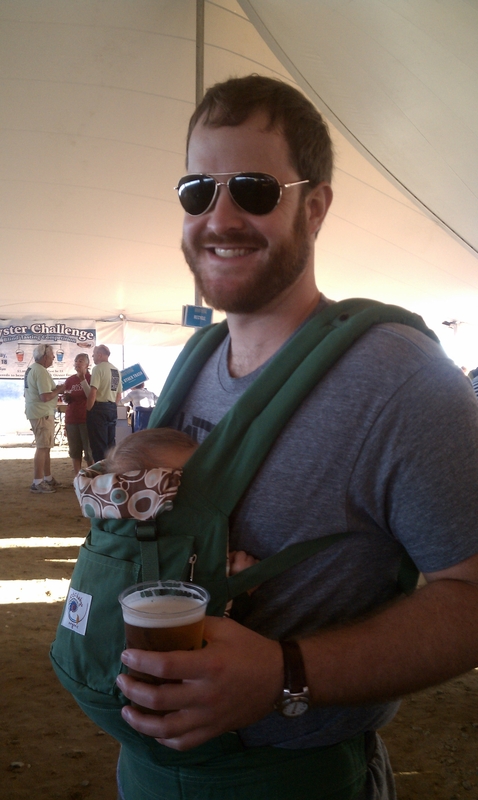 We even got Charlie in on the action - his first Festival at just 6 weeks old! 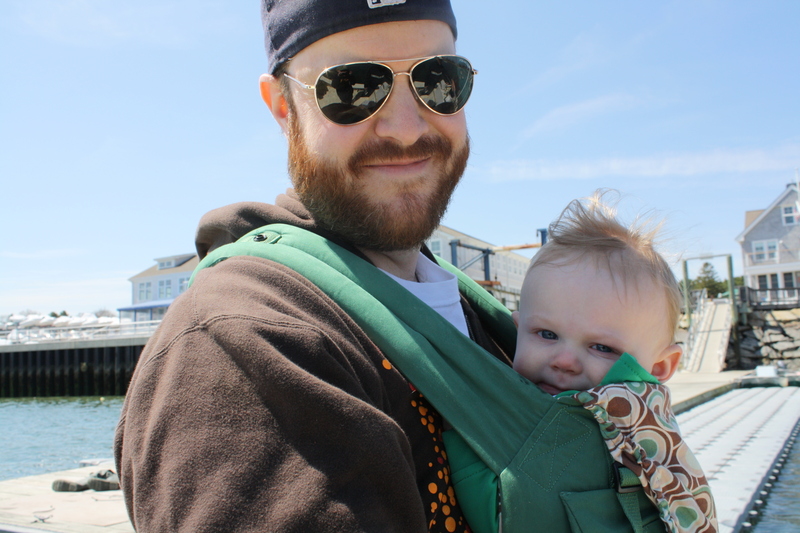 Dave nabbed plenty of compliments carrying around his little guy while I took care of my volunteer duties. But we couldn't have done it without the help of my parents, Mimi & Pop Pop. Huge thanks, guys! Thanks to Elizabeth Burnham for that! Can't wait for that signing, set to take place on Saturday October 22nd at Westwinds Bookshop in Duxbury. Speaking of which, I've created a very handy "Signings and Appearances" page here on the blog where you can keep track of any and all SHUCKED related events. Hope to see you at one of them this fall! I'm going to stop apologizing for the lack of posts. But really, I am sorry that things have slowed down here. To be honest, I've been busy. Busy finishing up the book, baking this bun in the oven, and getting life in order before both bundles arrive later this year. 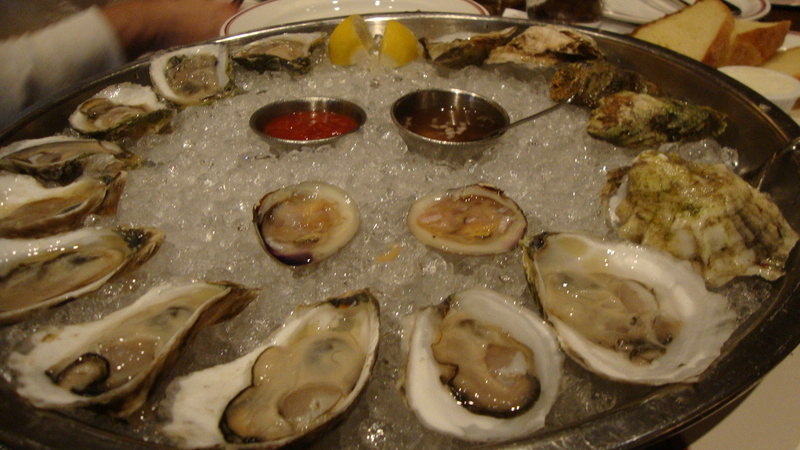 What's more, without oysters in my life, there seems to be little to cover at the moment. 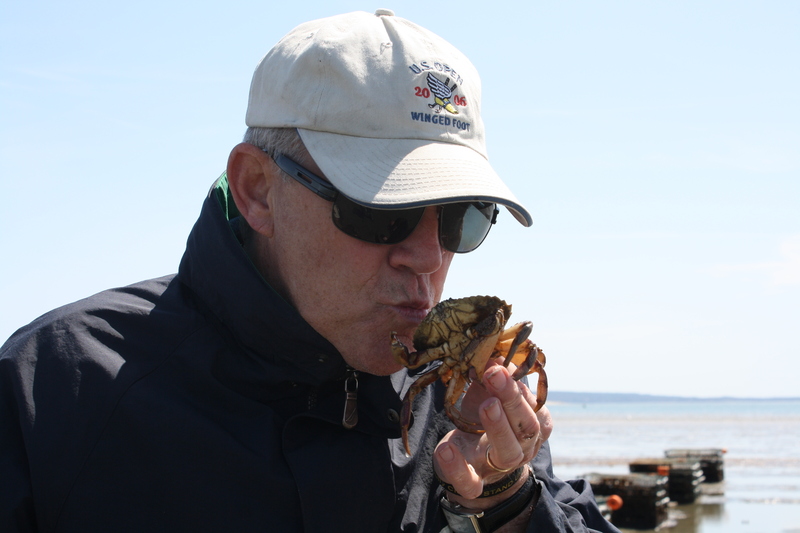 I promise that will change as soon as I can eat raw seafood again... and as soon as things pick up with the book. Speaking of which, that somewhat neat little stack of papers represents my last go around with the copy. I've now gone through two full edits, one with my editor, the other with the copy editor and am now patiently waiting to see the book in galley form (all typeset and pretty like it will look when it's printed). From the designs I've seen so far, it's going to look awesome and very much in line with my experience on the farm overall. So what's next? I'll have one more chance to make tiny changes to the text when it's on galley and then, we wait some more! It seems to be a lot of hurry up and waiting but honestly, the process has been really smooth and feels like it's going at a nice pace. Which is helpful since everything else in life seems to be slowing down, too. This week marks my last in the office at Boston magazine but I'll still freelance for the print edition with pieces like this and this. I've also signed on to contribute regularly to their blog, Chowder (I usually post a few times a week so for newsy Boston restaurant content, keep that one bookmarked). 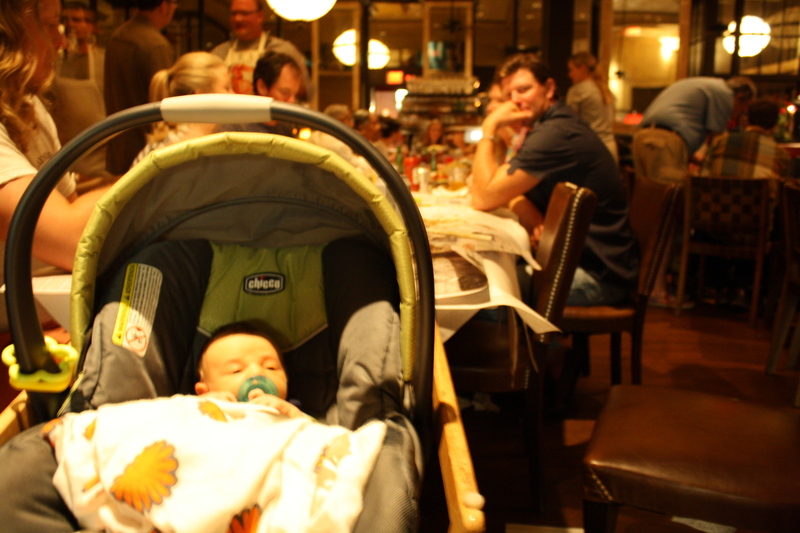 One thing I can report is that we had a lovely Mother's Day brunch at the Island Creek Oyster Bar this past weekend. I was lucky enough to have my whole family in town (in laws and nieces to boot) and decided to show off my old digs. While my sister Shannon and her husband Brian were the only ones who tried ICOs on the half shell (my sis slurped hers down in seconds flat... mostly so that her daughter Gracyn could play with the shells), almost everyone else at the table tried the oyster sliders which are, in my admittedly biased opinion, the most addictive thing to come out any restaurant I've eaten at in the last six months. Oh, and the pastries--which are all made in house--are insane. Haven't been yet? Drop what you're doing and go. Right now. Please forgive the epically long pause between posts. Life has gotten in the way, once again, now that my time on the farm is over. And if the attention grabbing headline is news to you, I'm sorry that you're reading it on my blog! But it's true: Dave and I are expecting our first son in August. The timing has been fortuitous -- especially since I don't have any mud flat runs in my near future (though I can't wait to get back to it once our little guy arrives). 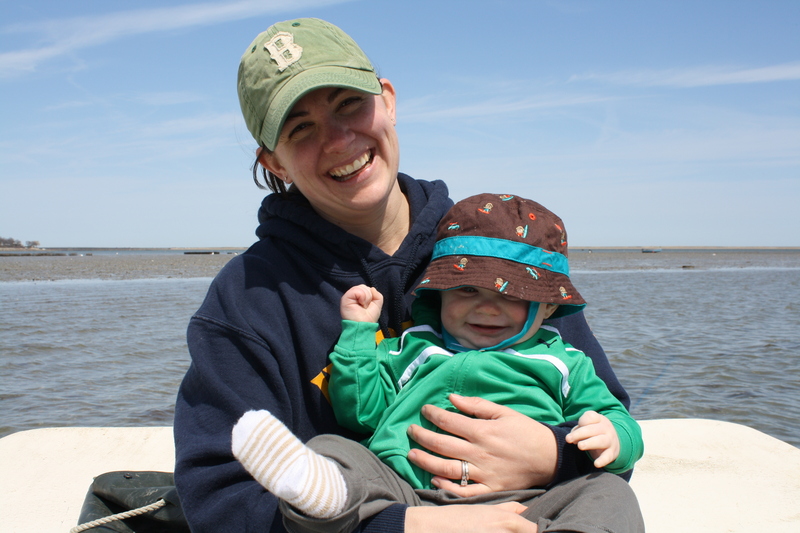 Besides the obvious life change, I've rejoined the world of publishing for a brief stint back at Boston magazine where I'm filling in for the food editor while she's out on maternity leave. I've been back for a few weeks now so I'm finally feeling comfortable in the new routine -- though returning to office life has been a tough adjustment. Let's just say that nothing compares to showing up to work in a hoodie and a pair of mud boots. And so, my writing career seems to have picked up a few paces in front of where I left off. Thankfully, I'm now focused fully on food. The only downside is that being pregnant brings with it so many restrictions. Wine, obviously, is off limits but so are my beloved oysters in the raw. Moments like this make me want to cry. Still, I'm grateful that I can put together stories about food and once again, immerse myself back into the restaurant world of Boston, which I adore. This gig is up in May at which point I plan on throwing myself into the freelance world and hunting for work to keep me busy until the baby arrives. The book, by the way (the book!) 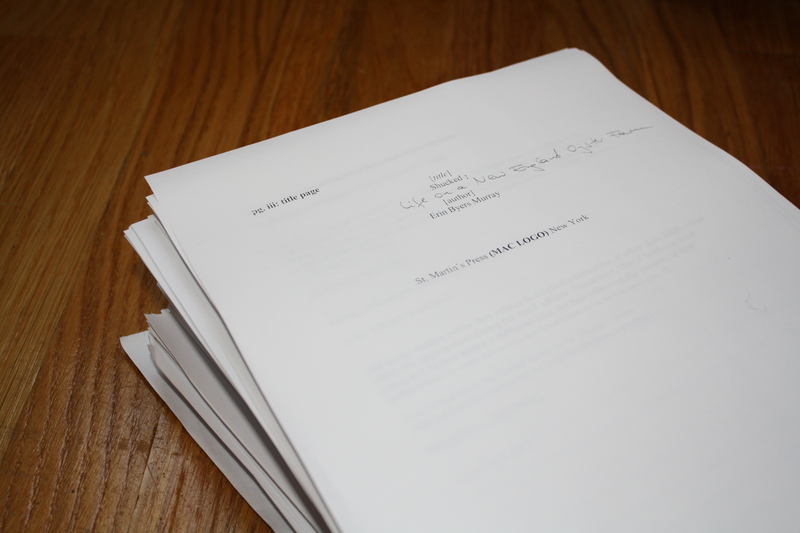 is in the copy edit stage, meaning I've turned in the first draft, done a thorough edit, and am now waiting for all of the red marks to come back to me one more time. The process has been eye opening -- not only for the amount of time, emotional energy, and effort that goes into the writing process but for my own feelings toward it. I can honestly say it's as emotional as producing an actual child, complete with the insecurity, pride, guilt, and unconditional love. Having put the book aside for a few weeks (well, sort of... it still lives in a pile by my desk where I pick up pages of it to read every day) I can say that I am truly terrified of letting it go. It's been such an incredible journey and, in some cases, a very tough slog, and every step that I take forward only takes me further away from a life that I loved. My attachment to the entire project grows weaker each day but I can't imagine it being completely done and behind me. It just seems so... final. To ease the pain, I've thrown myself into this other work, other writing, and into preparing for what will surely be my next big life adventure. I still miss Island Creek every single day but take comfort in the fact that the folks there are still my family and I'm still part of theirs. They've even given our unborn baby its very own nickname (a rite of passage)... Poseidon. 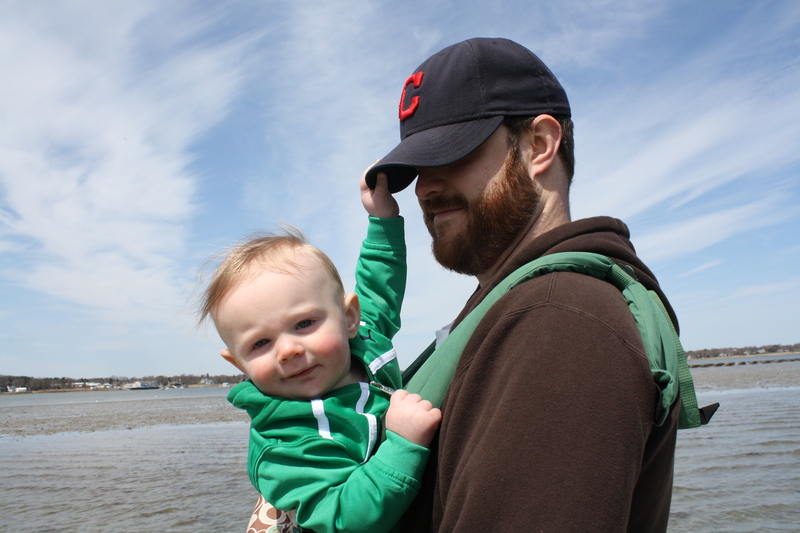 Looking forward to finding out if this little guy enjoys being on the water as much as I do. Two years ago, around this time, I was nervously plotting my exit strategy from DailyCandy and losing sleep over the massive, life changing decision I'd made to go work on an oyster farm for a year. I was turning 31 and life was about to turn upside down. That year, Dave and I celebrated the roller coaster that was our lives with dinner at Craigie on Main, which had just moved to its new location in Central Square. As we sat ringside overlooking the kitchen and chef Tony Maws as he worked, Dave presented me with a card which I opened to find a very loving message of support and a print out of an order he'd placed earlier that day. He was giving me my first pair of waders for my birthday. It was a sweet, hysterical moment for both of us. We had no idea what was about to happen or where this path would take us. We didn't realize that it would be so physically and mentally grueling yet turn out just as rewarding. We weren't aware that ungodly early mornings, crazy travel adventures, smelly gloves, and shucking knives would become part of our daily conversation. Or that a whole new family of oyster farmers and friends would enter and take permanent residency in our lives. But here we are, two years and a million good laughs later, without a single regret and even crazier adventures to look forward to. This year, I turned 33 and am staring down a completely different type of life change. The book will be out this fall, turning my fantastical, odd life story into something physical that will be out there for the masses. 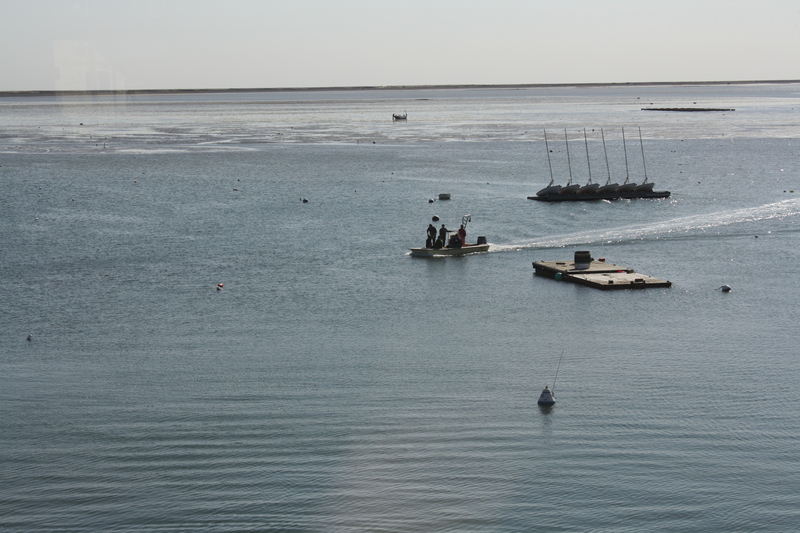 (Writing it has turned out to be just as difficult as some of the oyster work was... only, easier on the lower back.) Other than that, my future is a blank slate. I have a million ideas, just a few of which are as zany as this last one, but still, I have no idea what's next. In the meantime, I'm eating. Birthday eating has always been an entertaining sport, something to mark the occasion. I've never thought much about blogging what I eat (except for extreme cases) and sort of liken myself to this guy, who has a hard time recalling what he eats even though he writes about food. But when I eat really well in one single day, like I did on my birthday last Friday, I think it's worth noting. I started my day writing about white truffles and continued on the exotic route with lunch at Coppa where my friend Nicole and I devoured an uni (sea urchin) panini and addictive beef tongue crostini. 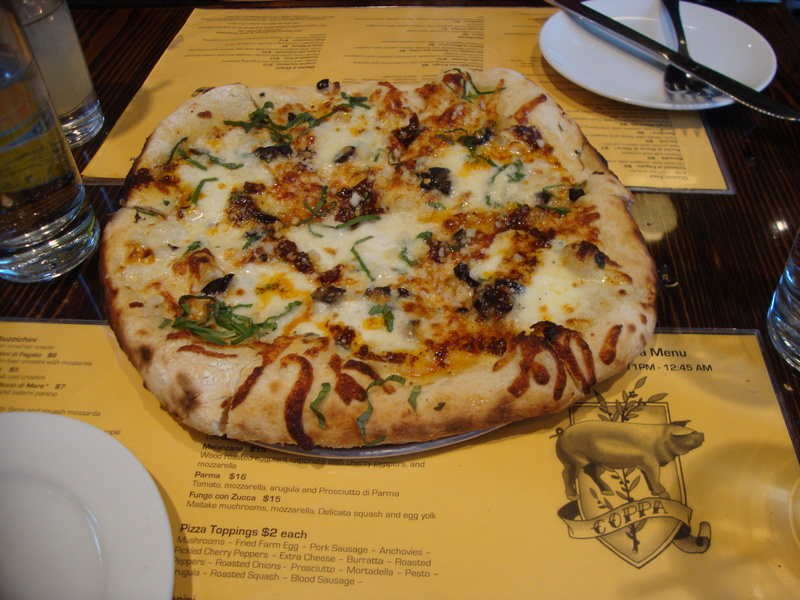 We followed that up with a wild boar ragu over chestnut fettuccine (a dinner special that chef Jamie Bissonnette tempted us into trying for lunch) and, finally, a dessert of bianco pizza sprinkled with chile oil. 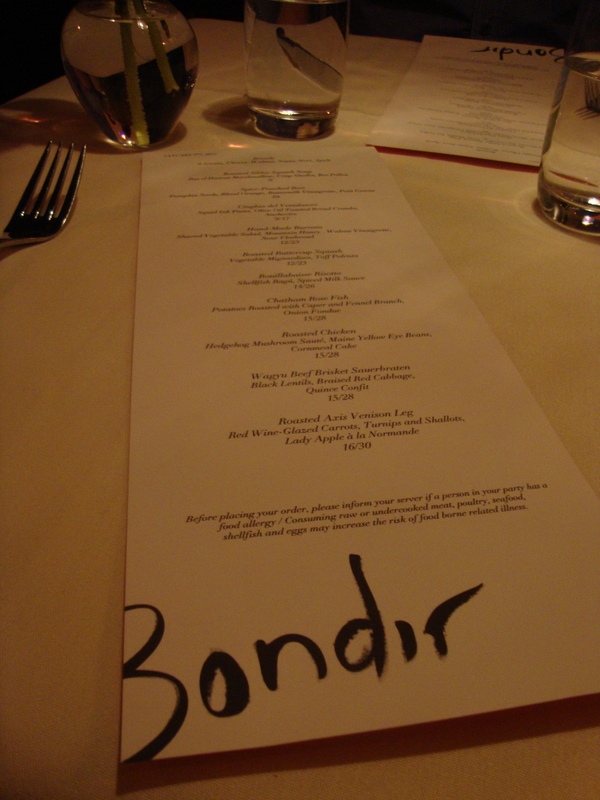 Despite the insanely large lunch (especially for someone who works from home and may take time for a cup of soup and a handful of nuts when she looks up from the keyboard), I was starving in time for dinner at newly opened Bondir in Cambridge. 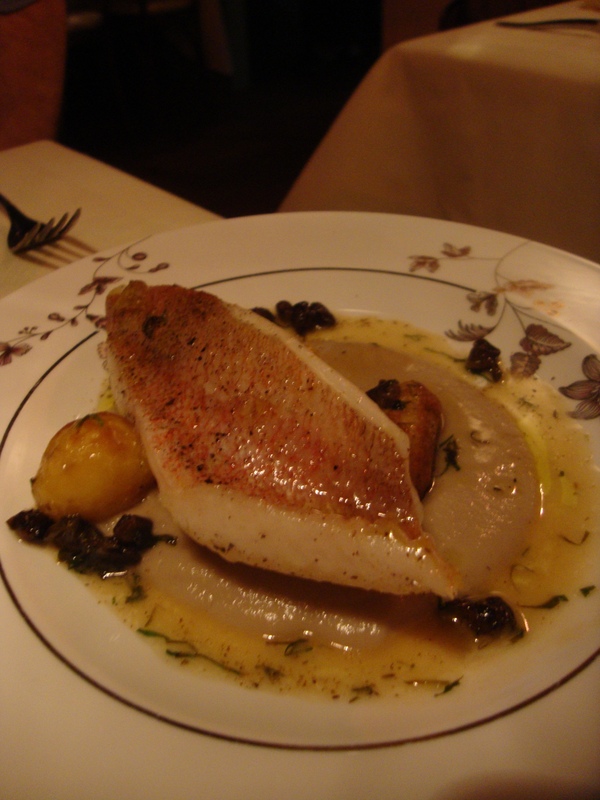 I was so excited for this meal (especially after receiving the requisite: "dude, should be sweet" from both Bissonnette and chef Louis DiBicarri earlier that day) and was in no way disappointed. 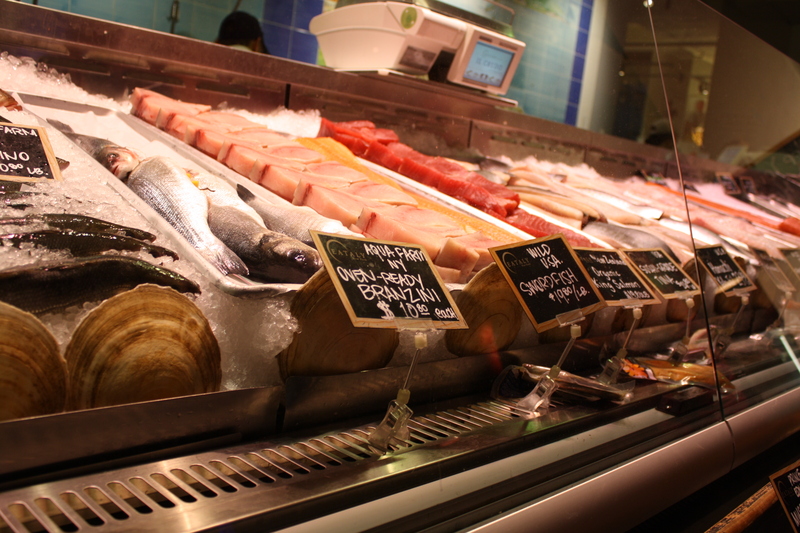 Chef Jason Bond was most recently at Beacon Hill Bistro, making this his first solo endeavor. The menu changes daily and I love the way he's set it up because everything on it, besides a few apps, come as half portions, giving Dave and I the opportunity to eat almost everything available that day (a table of four sitting next to us actually did that). There were no birthday candles in our Chocolate Enlightenment dessert -- only fireworks. The pyramid of heady chocolate was topped with a savory tea foam and sat on top of hazelnut dacquoise. I think we lapped up every last bite, a true testament to its ridiculousness. 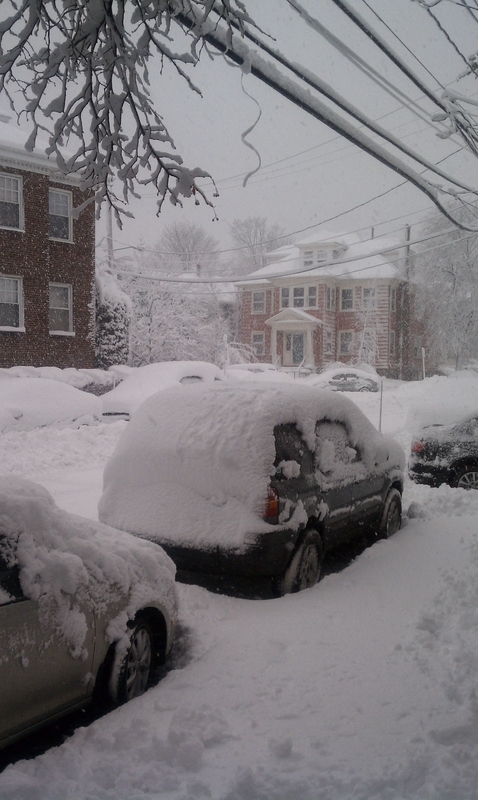 It's been a struggle to come down off that high but there's nothing like the sobering reality of 15 inches of snow to bring an end to the merry making. I was thinking of nothing but the farm this morning when I woke up to find this outside my door. I'm sure the oysters will be fine. I just hope the Plex is stocked with plenty of propane. Book writing is a tedious business. Up every day, staring at the screen, wondering whether my words are going to fully capture my 18 months at Island Creek or just dip below the surface. But slowly, I slog on, hoping that something cohesive and maybe even witty will come out in the end. 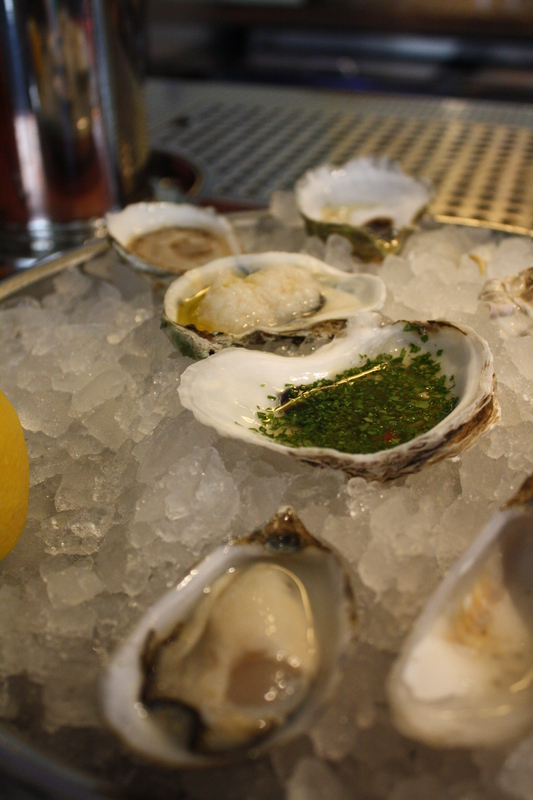 What breaks up my day are frequent and often supremely entertaining visits to the Island Creek Oyster Bar. 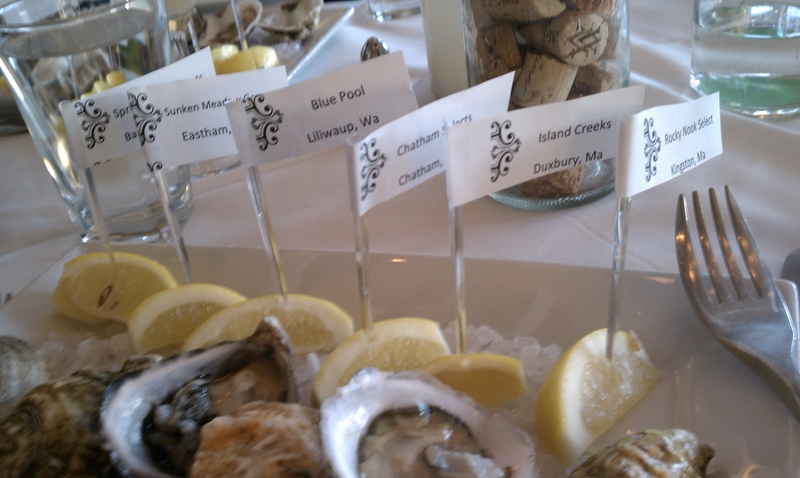 Wednesday's stopover involved a comparative tasting of almost the entire oyster list with the front of house staff. Although the list changes day to day, there are a couple of staples that are starting to become favorites and the staff was eager to try them all side by side. 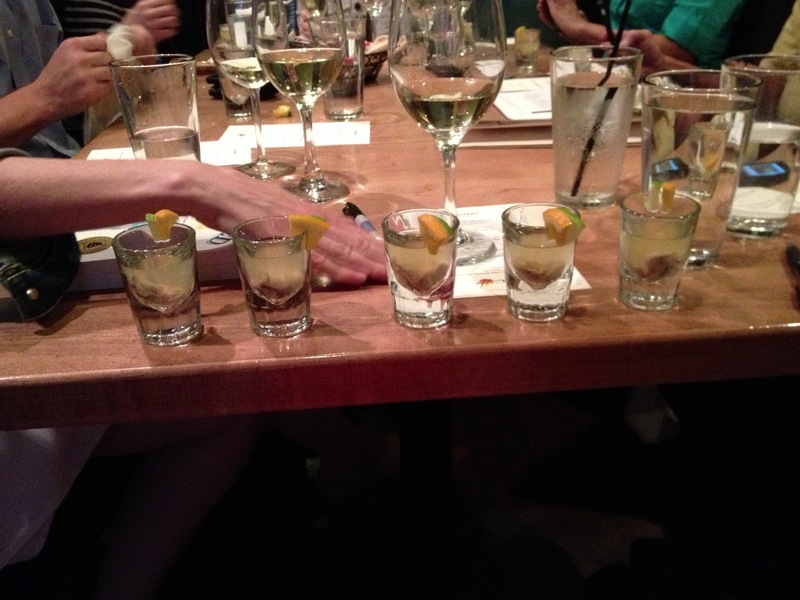 So, we sampled them in flights -- three flights of three oysters plus one palate-whopping finish. 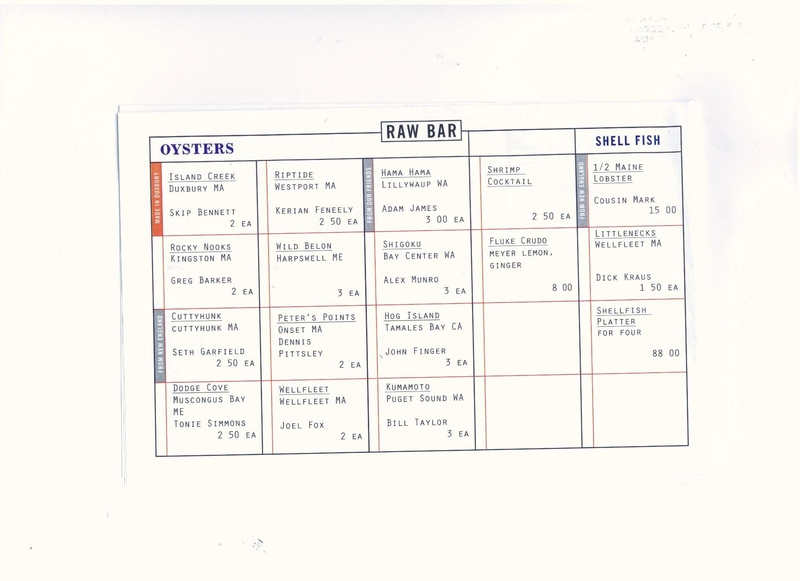 After tasting and taking notes, the staff shouted out descriptors using a new list of oyster language that we devised after a similar tasting (scroll to the bottom) Skip and I ran at Eastern Standard in September. 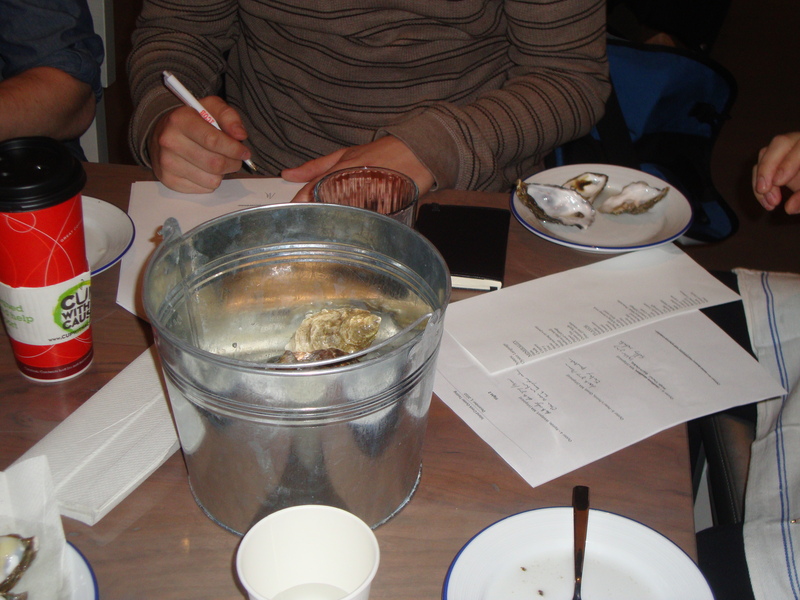 With this new set of oyster words, the staff opened up their vocabulary when describing certain flavor qualities. Instead of creamy, they opted for compound butter, yogurt, or heavy cream. Instead of earthy, they offered musky, miso, and my personal favorite "sea mushrooms" (which don't exist but totally should). Whether the Hog Islands really tasted like "green beans for a tin can" or "had hints of fennel" is still up for debate but I think we all walked away with sturdy understanding that oysters can be much more complex than briny, sweet, or vegetal. For those keeping track, the wild belons are absolutely stunning this time of year. 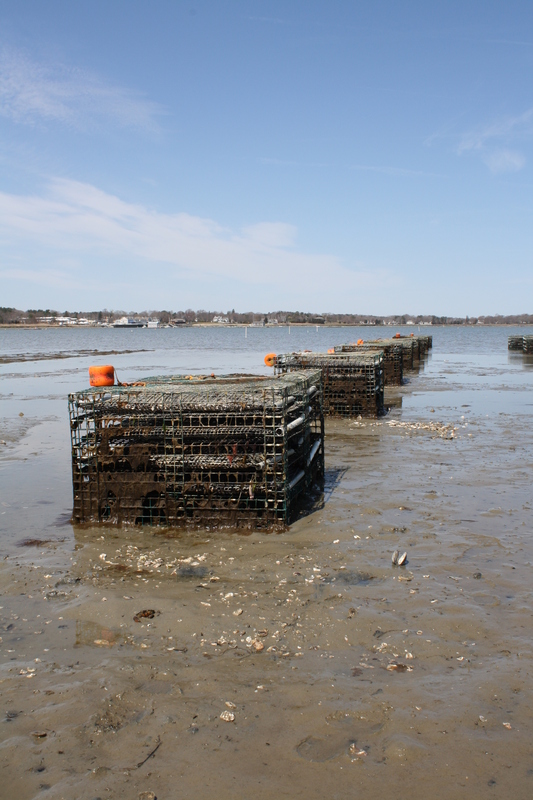 This is an oyster that was originally introduced to U.S. waters in the 70s by the University of Maine. 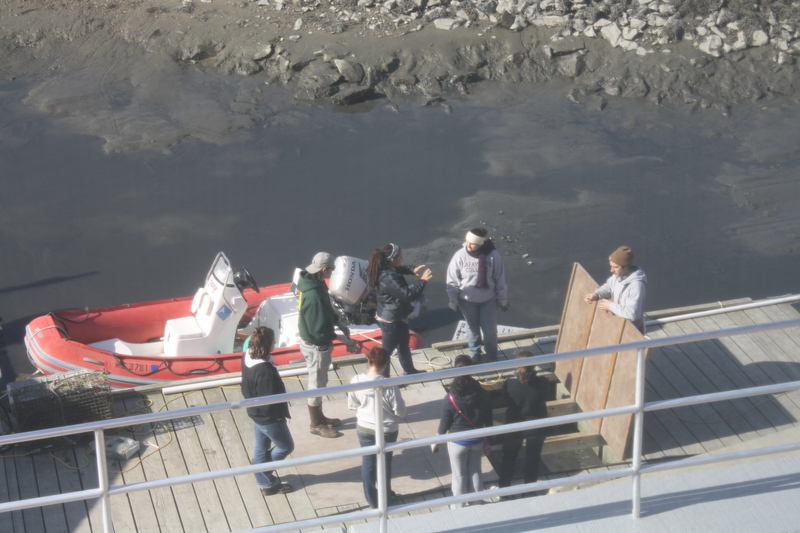 Experimenters assumed the crop died after they failed to produce but what the oysters were really doing was getting used to their new habitat. Years later, they started reproducing naturally and now grow wild near the shores of Casco Bay. 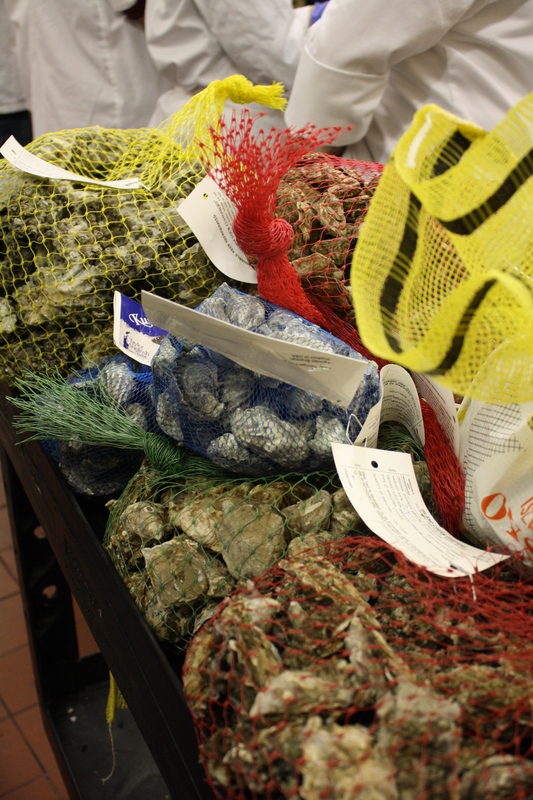 Amanda Hesser covered this story several years ago - a great read about a mind-boggling oyster. If you've never tasted Flats, get ready for a completely unexpected contrast to the brine of the Virginica or the melony cucumber of a Kumo. As Rowan Jacobsen says, this oyster doesn't want to be your friend. But, if you're up for an adventure, this is the time to do it. It's December which means the waters have turned colder up that way, putting the distinct European-flat, mouth-coating hit of metal right around an 11. Also, I'm offering a prize to the person who can pair it with just the right wine. Hint: It may or may not be something sweet. Good luck. There are so many things I want do with this blog -- it's hard for me to settle on just one. So how would you guys feel if I kept it going... and only occasionally mentioned oysters? For now, anyway. 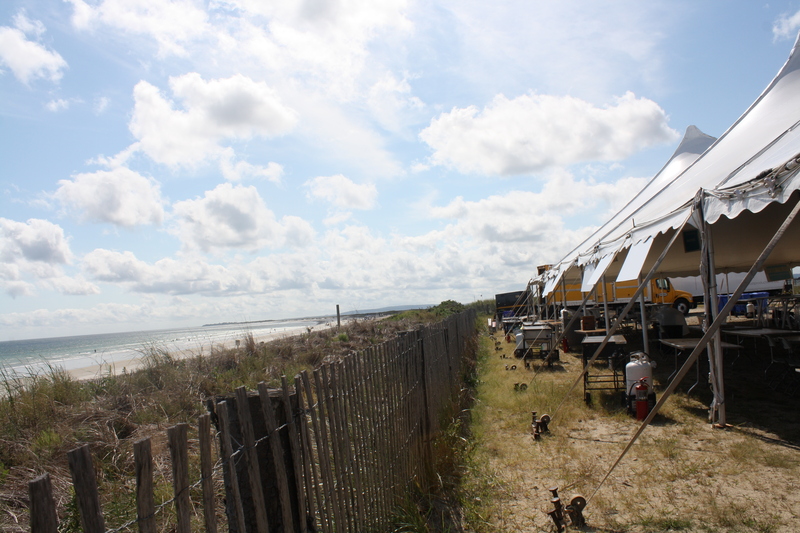 There are many, many oyster tastings, oyster farms, and oyster people for me to cover. But I might throw in a few non-oyster topics too. They will involve food, of course. And the people who create it, whether that be from the ground level (or bottom of the ocean) or in a more finished version on the plate. And it will be full of photos when I can get them. Sound good? Good. To start, I have to brag, just a little bit, about the event I helped coordinate with Dave and our great friend Nicole Kanner this past Sunday. 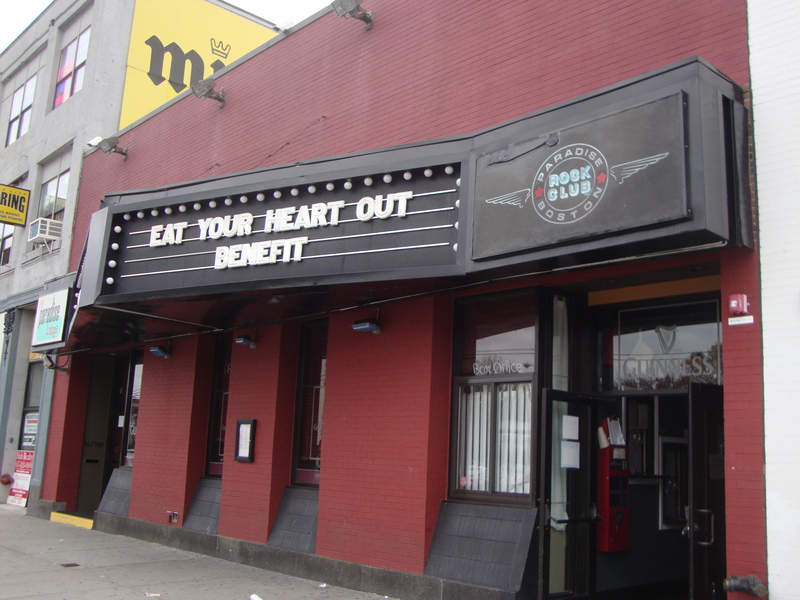 Eat Your Heart Out Boston took the stage for the third year in a row showcasing the best in local food and music at the updated Paradise Rock Club. We had an incredible crowd come out for the party, which started with a 13-chef dine around and ended with a series of rocking indie bands. We did it to support two very special organizations, Future Chefs and ZUMIX , who help educate Boston high school students through the culinary and musical arts, respectively. For Dave and I, life revolves endlessly around the worlds of food and music. We go out to eat, we see shows, we cook, we play music (well, he does anyway; I just listen). We are devoted to both worlds both for the richness they bring to our lives and for the people they connect us with. We've learned that where there is good food or good music, there are great people. Simple as that. Sunday brought those two worlds together in such an inspiring way. One of my favorite local bands (and my neighbors) You Can Be A Wesley played a lovely short coustic set early in the night, then we saw two ZUMIX kids get on stage (Renee Marrone and Jennifer Aldana) and not even blink an eye at the hundreds of people they sang an acoustic set before -- truly courageous and talented kids. We also watched as two of our participating chefs, Tim Wiechmann and Will Gilson, poured their hearts out on stage with the soul band Dwight & Nicole. The room was absolutely electric with that performance. Of course, the food rocked too. Jamie Bissonnette's Slayer bocadillo (with blood sausage and kimchee) admittedly stole my heart but I have to give chef Josh Buehler and his team from KO Prime props for their killer table display. Keep an eye on the Eat Your Heart Out website for more pics soon. It was a raging and successful night of fun and I am so grateful to everyone who showed their support. Thanks, guys. Get ready for next year! As for me, I'm slowly getting reacquainted with my home office and day-to-day city life. I've carried over some silly habits since leaving the farm, like rising at 5 am every morning and checking out my tide chart once or twice a week. That, and I'm still obsessed with the weather. But it's good to be back in this world. I get up, I write, I focus for as long as I possibly can, then I relax and see what the rest of the day will bring. I'm testing recipes, working on some other potential book ideas (stay tuned), and freelancing when I can. The book is coming along, slow and steady. Just what I was hoping for. And yes, there are still plenty of Island Creek moments in my life. I drop by the Island Creek Oyster Bar at least a few nights a week (they'll get tired of me one of these days) and a few weeks back, I made a triumphant return to Duxbury for a long-overdue going away party. 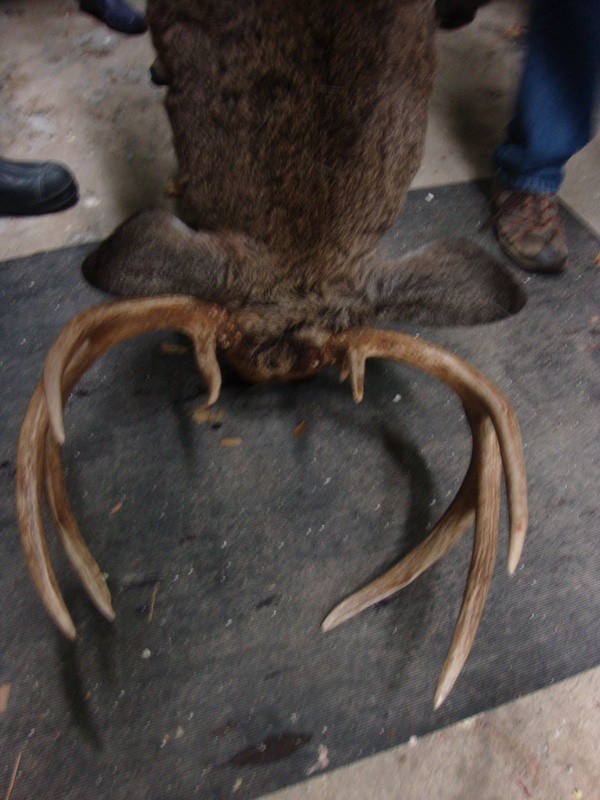 It ended, in classic ICO style, in Don Merry's garage where we admired his handiwork: a massive buck that he'd landed with a bow and arrow. The story is legendary and one only Don should share. But I'm hoping he'll tell it again when he serves us all some venison stew. Hard to believe Thanksgiving is almost a week away. 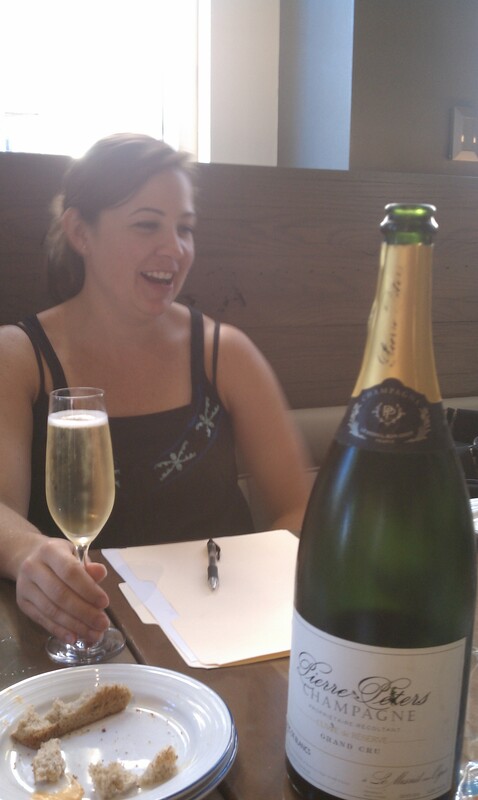 One year ago, around this time, I was recovering from my stage and first trip to Per Se. Which means I probably forgot to share this fantastic holiday recipe with you. 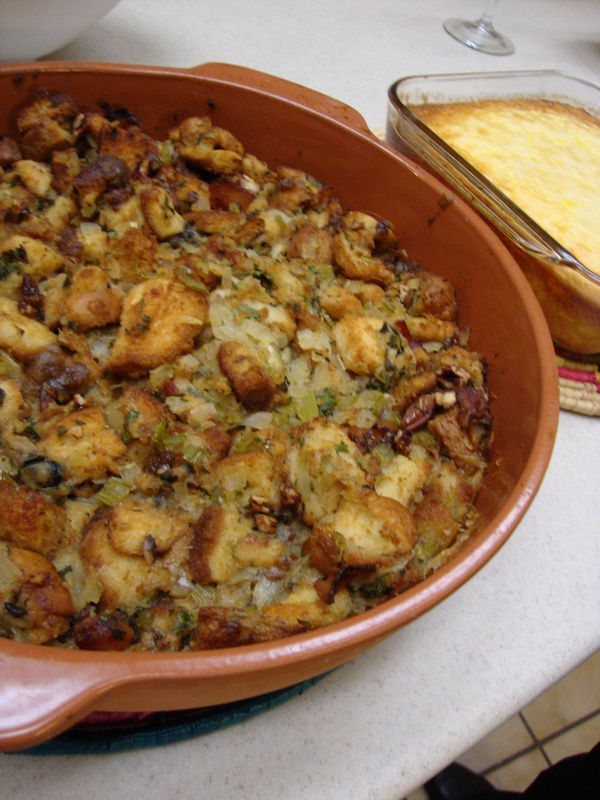 My mom and I made this Herbed Oyster Stuffing last Thanksgiving at my parent's home in Texas and it was a huge hit. There's still time for you to order some Island Creeks and put this on your shopping list for next week. Enjoy.